Gong Xi Fa Cai. Wishing you for a prosperous 2019. Happy Valentines. Hope for a sweeter days ahead. Sorry again for the hiatus, life’s been busy lately. 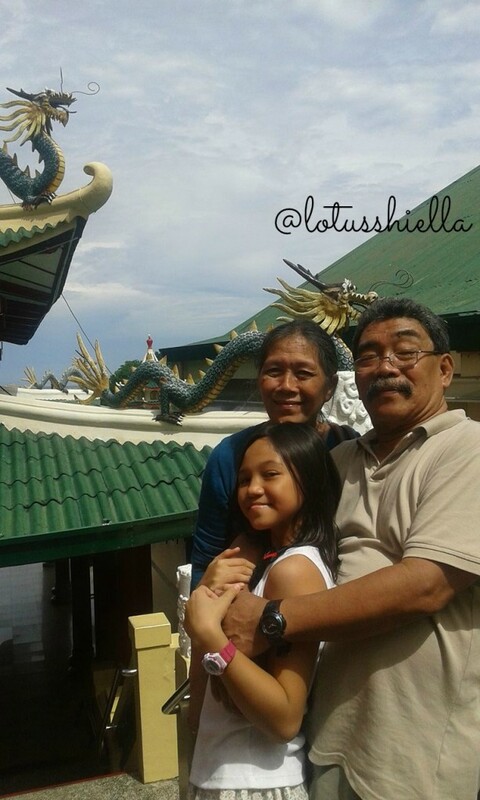 But, apart from those mundane activities last month, our family had an opportunity to get together and explore Iloilo and Guimaras. Yep, all of us – my parents, us – six sibling. 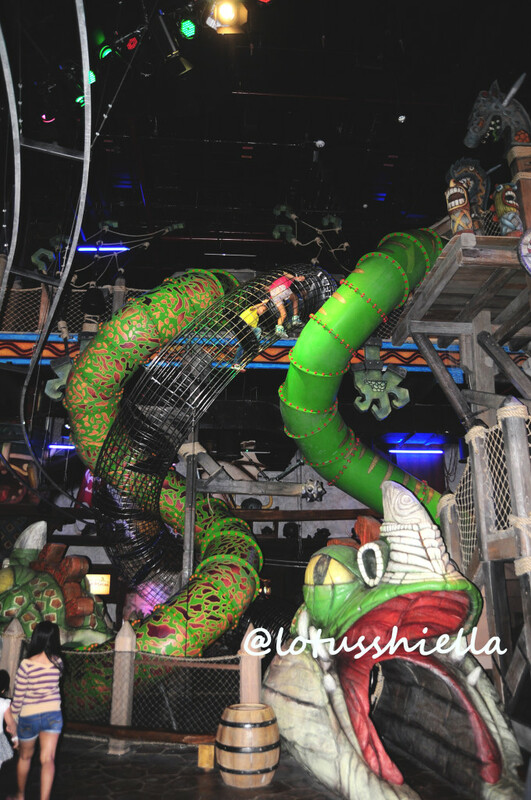 With young kids on tow (youngest is a year older) it was noisy, chaos yet it was lively, fun, full of laughter and I definitely want to do it again. 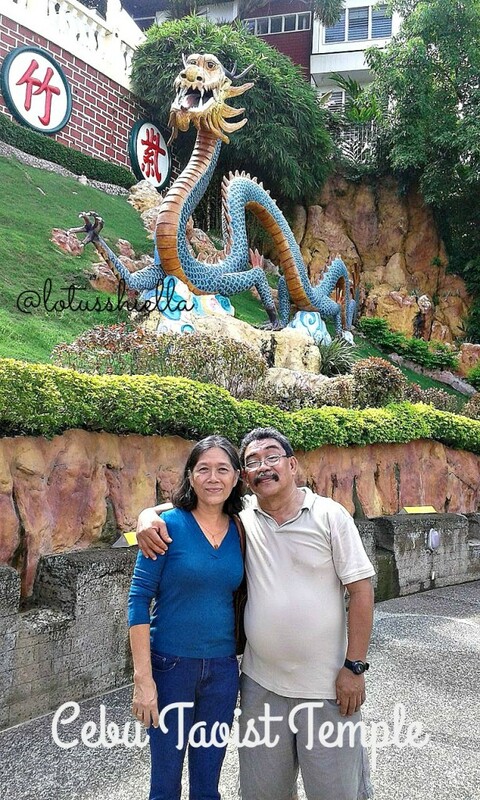 My parents and my siblings are based in Cagayan de Oro. Domestic flights are available from Laguindingan Airport to Iloilo Airport. They took Cebu Pacific’s CDO to Iloilo 12NN flight. While we took the 2PM Cebu to IloIlo on Cebu Pacific airline as well. 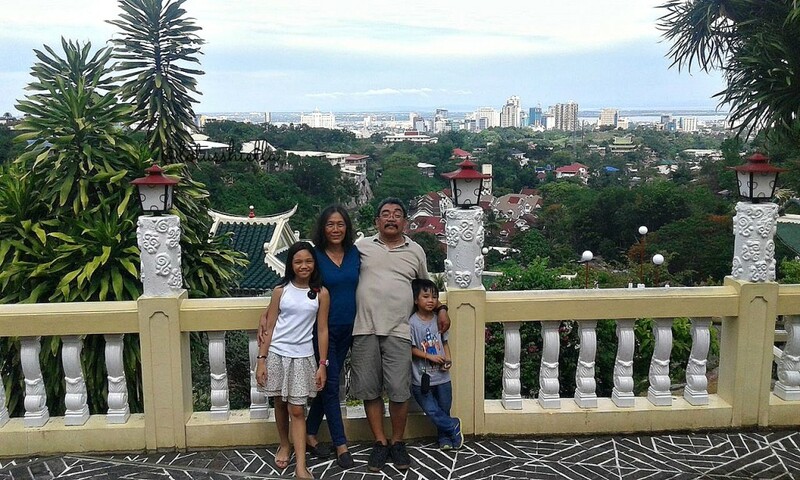 My brother, with his family, lives in Iloilo due to work. He was able to rent a van for 3 days at P3000 per day rate. For me, van is best option for large group travels and long drives. We arrived Iloilo in time for Dinagyang Festival thus all hotels near the city is fully-booked and some are way out of our budget. 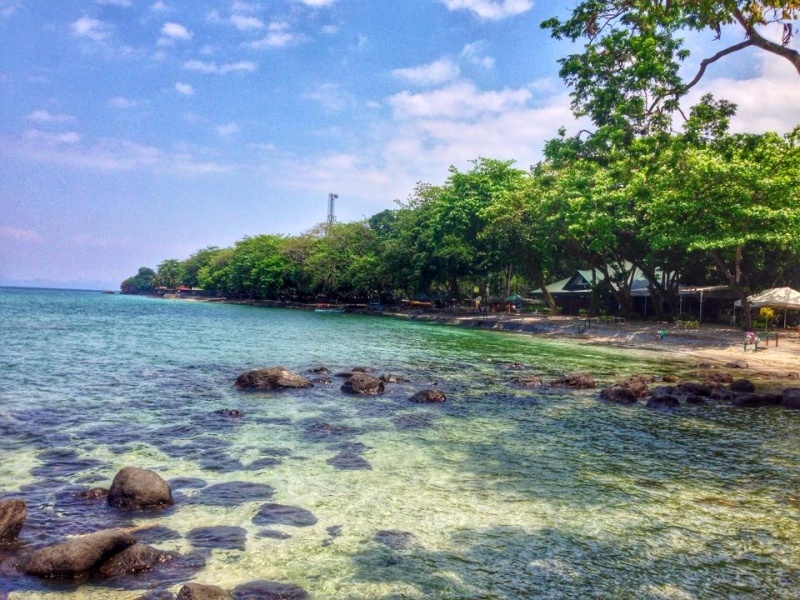 Jade Energetic Paradise and Adventure Corp is popularly known as JEPAC for the locals in Badiangan, Ilolio. It is ~4okm ride from Jaro City (almost an hour travel time). Right for budget adventurers like us. 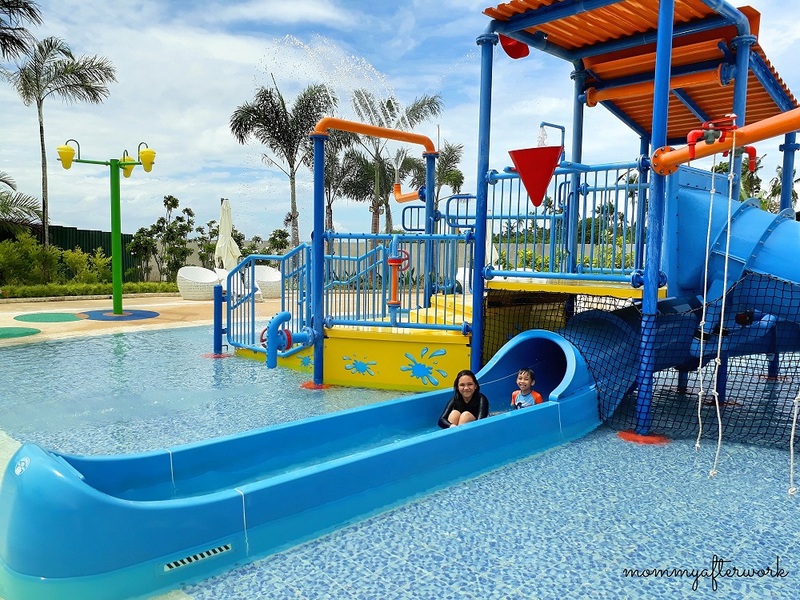 Kids get to enjoy playing in their playground or take photos with their action figure and dinosaur statues within the resort or enjoy the cool waters in their clean swimming pool. An island separated from Iloilo mainland, this agricultural land is the home for Philippines’ sweet mangoes. It is a 35min ride through barge (if you will bring with your your vehicles) or ferries. 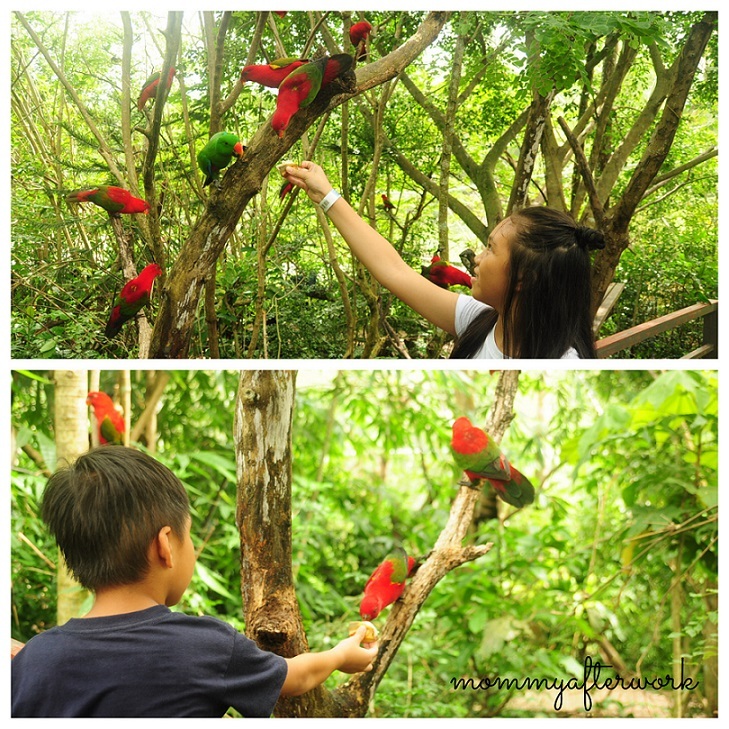 Our initial plan was to stay at Nature’s Trail which was a 2-hour travel from Guimaras port. But due to some setbacks from the resort we opt to cancel our reservation and head back to Alubihud Beach Drive, which is known for nice beach resorts. We stayed at Raymen Beach Resort. A chance to visit the government’s mango farm. Mango seedling are sold for P50 each and visitors get the chance to bring it home. We were just not sure if the airline will accept it for check-in. Those mango trees at the back, we were told that each branch bear fruits of different variety. Marcotting is real! 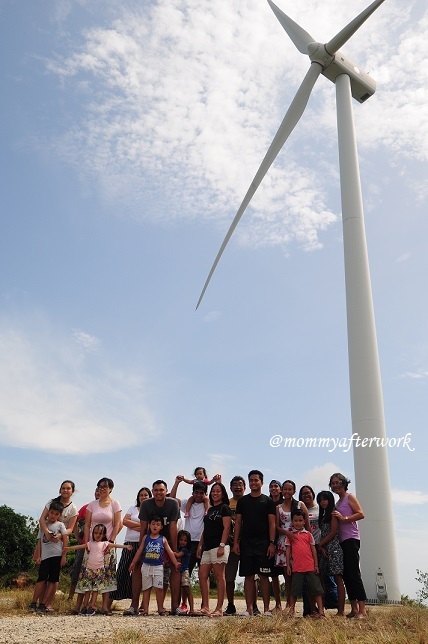 Guimaras has 27 windmills and we had a chance to get up close to one of the structure. Kids prefer to call it huge electric fans. Back at Iloilo after our Guimaras excursion, we went to Garin Farm, San Joaquin Iloilo. 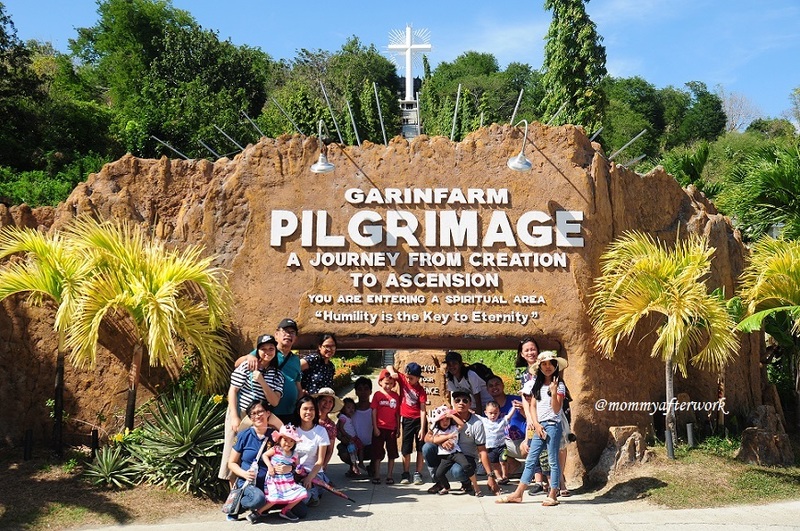 A ~90km ride from JEPAC resort, Badiangan, Garin Farm is a farm and a pilgrimage site in one place. Highlight of the farm is the huge white cross located uphill. 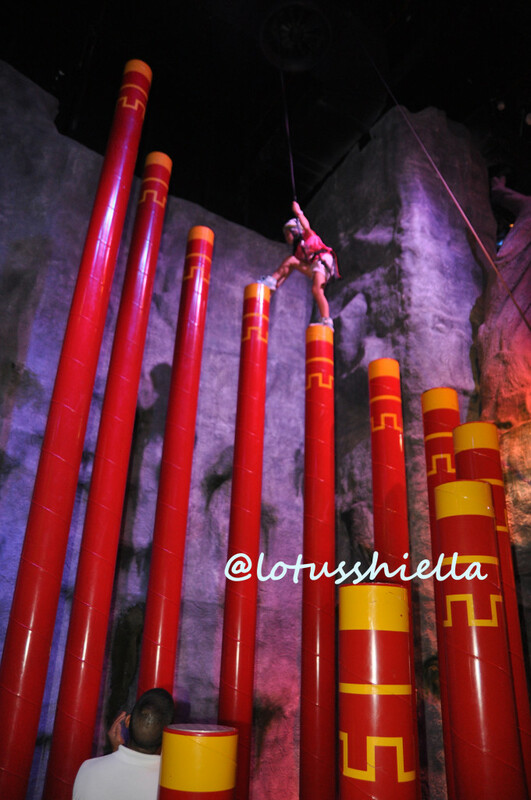 It takes 480 steps to reach it. As you climb the steps, you can see statues from the greatest events in the Bible. No worries if you cannot make it since there are trams available to bring you to the top. 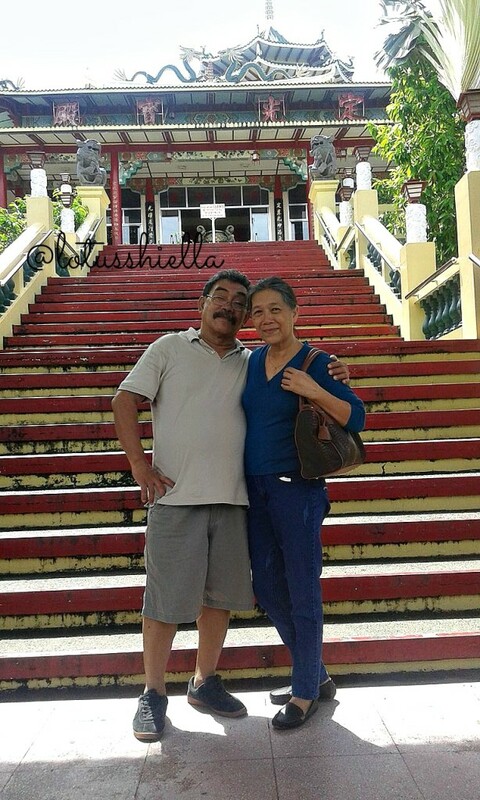 The husband surely knows how to treat the family as everyone is having a blast from the quick weekend trip at Bohol. It was a long overdue getaway and everyone was so glad we made it last month. 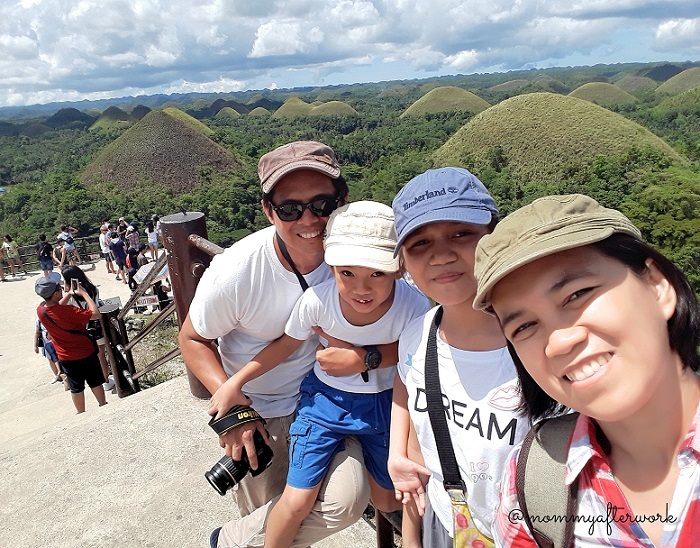 Additionally, it was an opportunity for the youngest to have a closer view of the tourist spots and shrine he read from his school books like the Chocolate Hills and the Blood Compact shrine. Ferries from Cebu to Bohol are available. FastCat Ferries has trips to Tubigon port then, there’s Ocean Jet Ferries that has 9 trips to Tagbilaran port. For Ocean Jet Ferries, the earliest trip from Cebu is 6:00AM while last trip departs at 4:30PM. We took the earliest trip. Be sure to be at the port 30 minutes before your departure time since Cebu’s Passenger Terminal at Pier 3 is too crowded that it may queuing for bag inspection and check-in consumes much time. You’ll be greeted with different tour packages from different travel agencies including transportation upon arrival at Tagbilaran port. Tour package’s costs ranges from P2500 to P3000. However, there are some drivers though not affiliated with the agency that offers the same package tours at a lesser price. 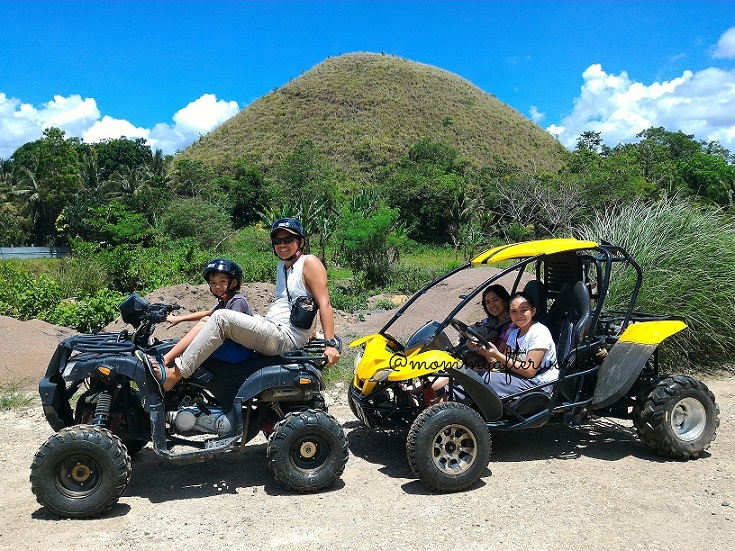 These are locals with personal vehicles that consider Bohol tourism as a livelihood. This is a bit risky though not connected by agencies but recognized by LGU. We took the risk and paid cheaper for a countryside tour. 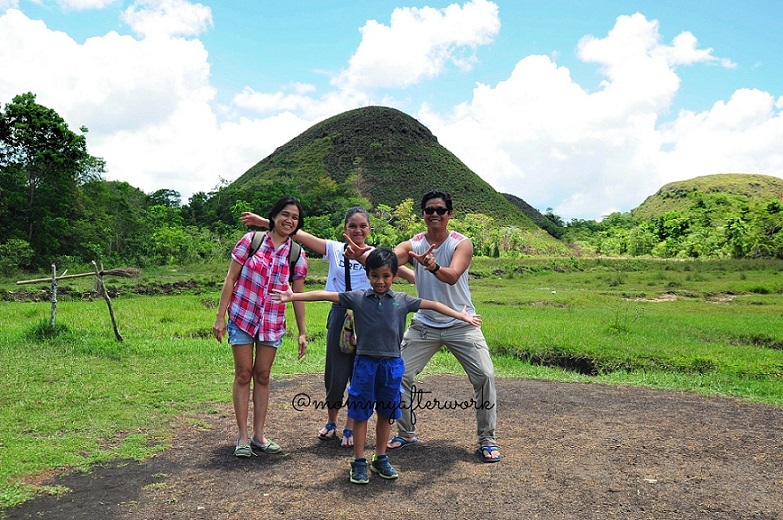 The first spot we visited was the famous chocolate hills. 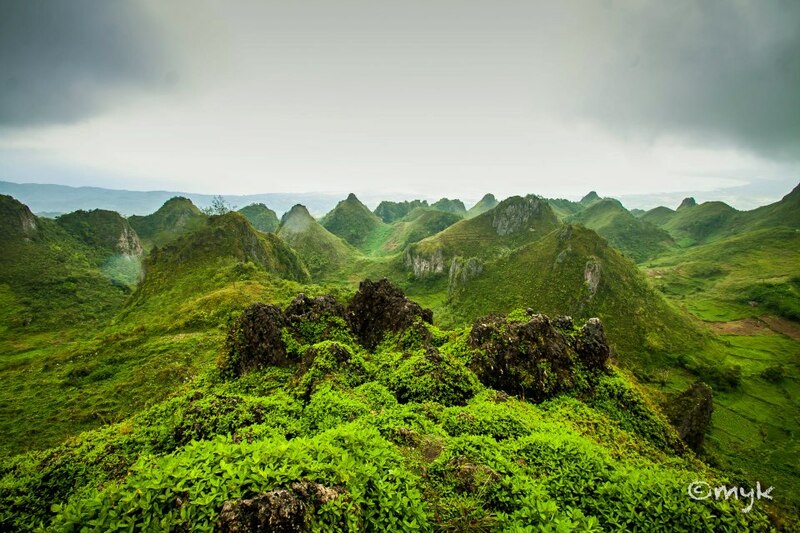 Located at the center of the island are at least a thousand hills of almost symmetrical and conical in shape. These hills are covered in green grass during rainy season but turns brown (grasses dried up) on summer / dry seasons. 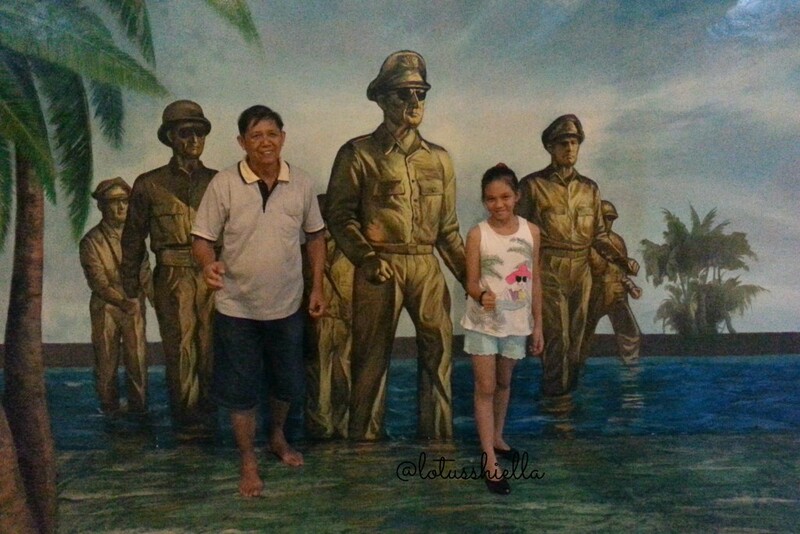 We went to the observation deck located in Carmen. Changes is noticeable from the last time we visited. 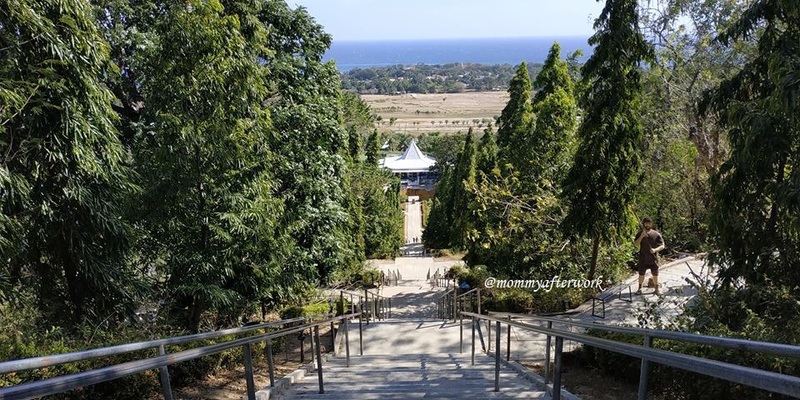 This time, with everything cemented and less trees and plants at the deck, its too hot and humid.Good thing we consider this as first to visit in our itinerary. 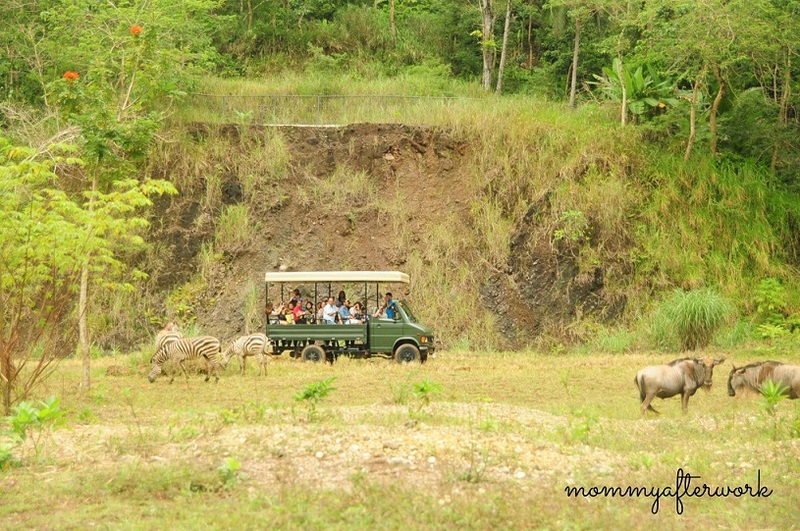 Get up close with the hills while driving through rough roads using Graham’s ATV and Buggy cars. We rented 1 ATV and 1 Buggy car for 30 minutes. We let the kids take the wheels provided we, as parents, accompany them. And yes, they love the excitement. 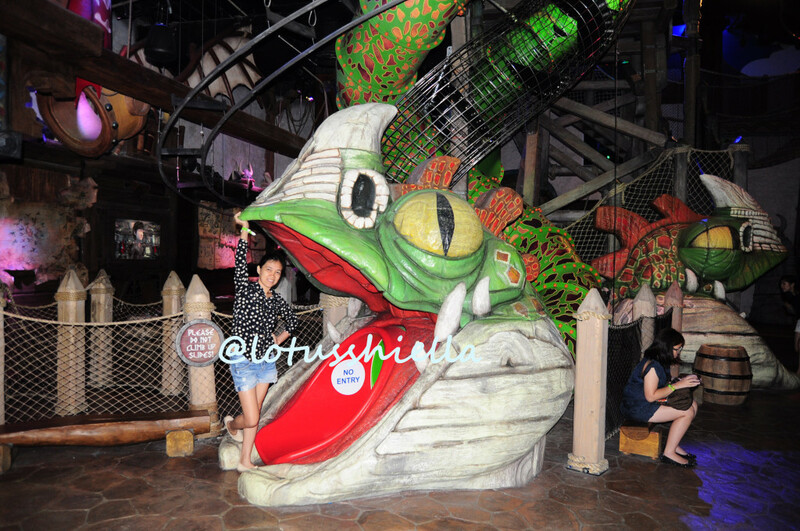 My daughter who had tummy pains that day said that she forgot about pain during her ride because of the fun and thrill. 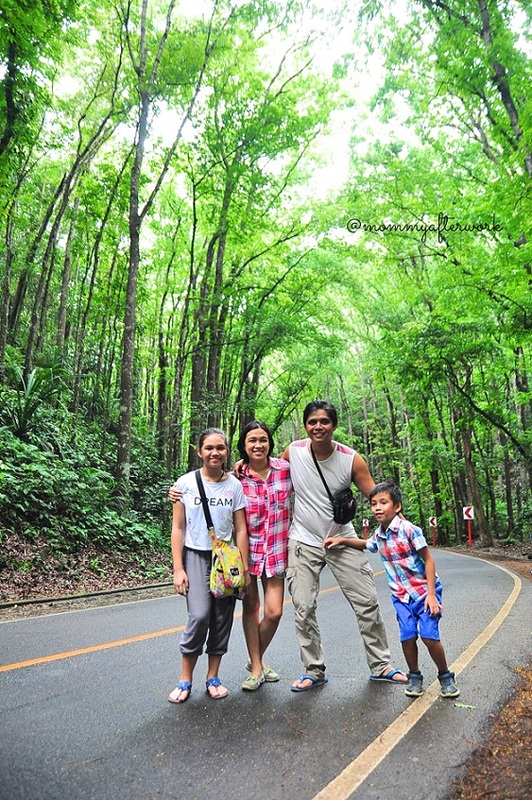 Next stop is the Tarsier Conservation Area. Tarsiers are the smallest primate. 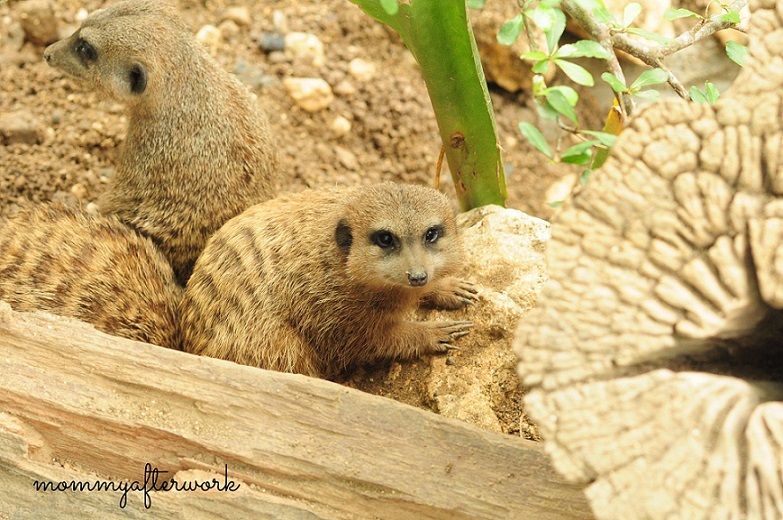 When we get there, almost everyone is sleeping (they are nocturnal and shy animals and does not like noise). The Science handbooks of my kids listed Tarsier as one of the endangered animals, yet ironically caged in a supposedly protected area for display and attract tourists. Don’t get me wrong, I want to check and observe them too, I find their huge eyes and tiny hands, feet clutching the branch a little cute. My last encounter with them includes holding them. 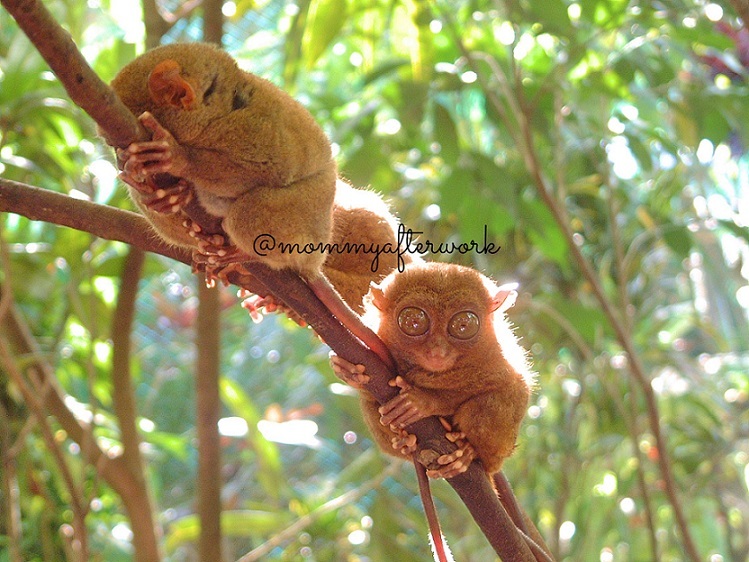 For this recent visit, touching these Tarsiers is already prohibited and you can view them at a distance. At least there’s an improvement in their system regarding proper care for these animals. 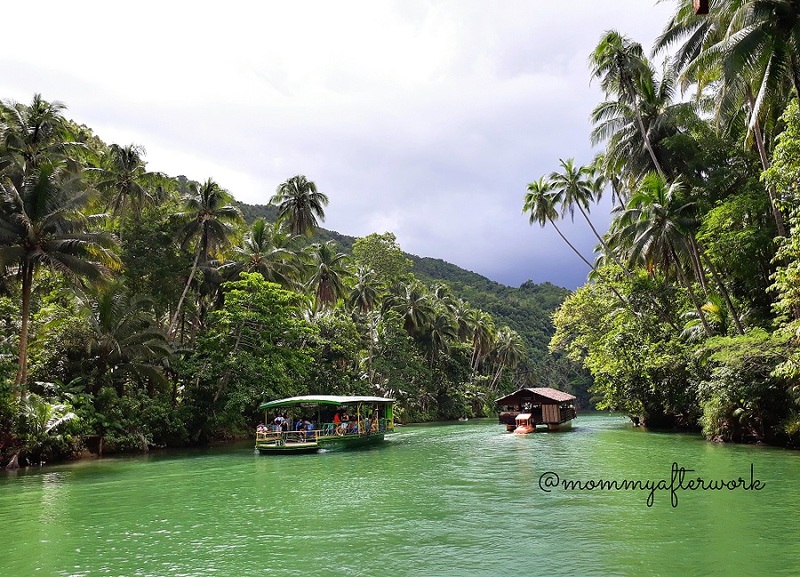 Loboc is famous of floating restaurant cruising along the river. The queue is very long so prepare your patience while waiting. Don’t easily give up coz I’m sure you’ll gonna love it. Who can’t resist good food, the cruise, the music and the scenery. We went for a short stop but was not able to get inside and take photos because the church was closed. We didn’t get inside to the museum too. We stopped at Blood Compact Shrine monument for a my son’s photo op Believed to be the place where the friendship between Filipinos and Spaniards started. As reported that during the treaty, “each of the two leaders made a small cut in his arm, drew a few drops of blood from the incision, mixed it with wine, and drank the goblet containing the blood of the other”. (source: Wikipedia). The statue is Miguel López de Legazpi and Datu Sikatuna having a toss. 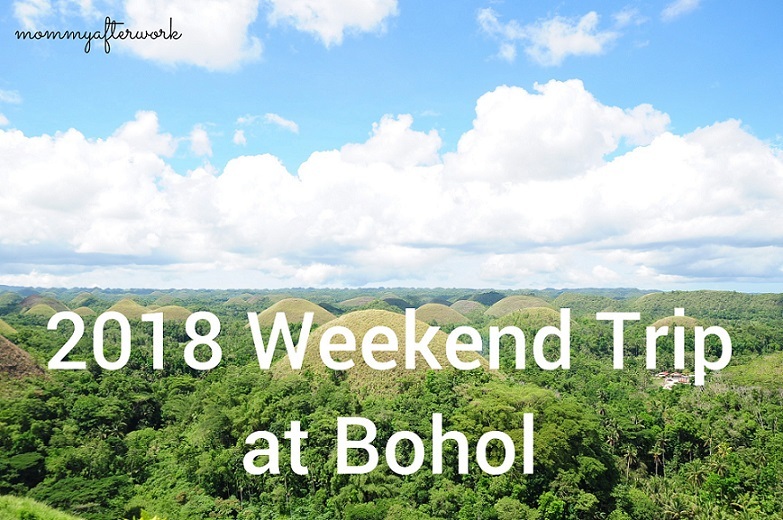 That concludes our Bohol weekend trip. We went home the following day taking Ocean Jet’s 4:20PM voyage from Tagbilaran Port to Cebu Port. 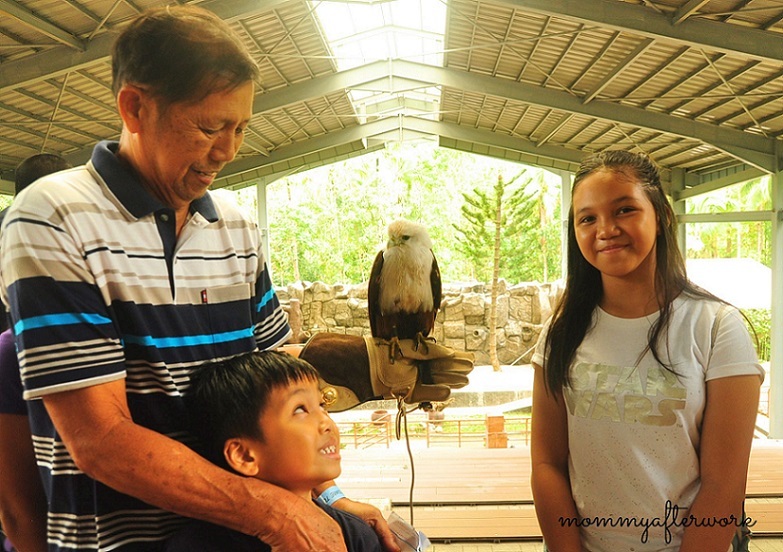 Last weekend, we were given a chance to take a peek Cebu’s newest destination for nature and animal lovers — Cebu Safari and Adventure Park — at Sitio Toril, Carmen, Cebu. 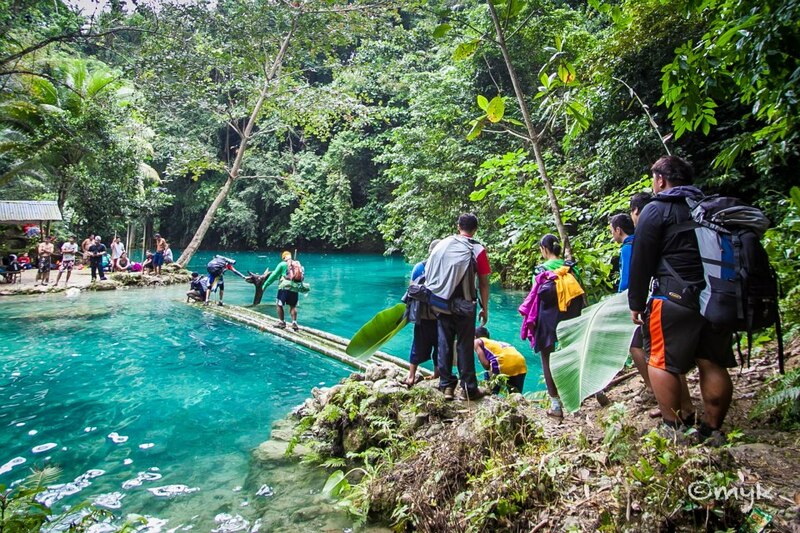 Carmen is a municipality located next to Danao City and is dubbed as Cebu’s Northern Oasis due to its abundance of fresh water and springs. This water supply supports the town’s vegetation and farmlands as well as its neighboring town. Large sugarcane farms are also evident aside from cornfields and mango farm. 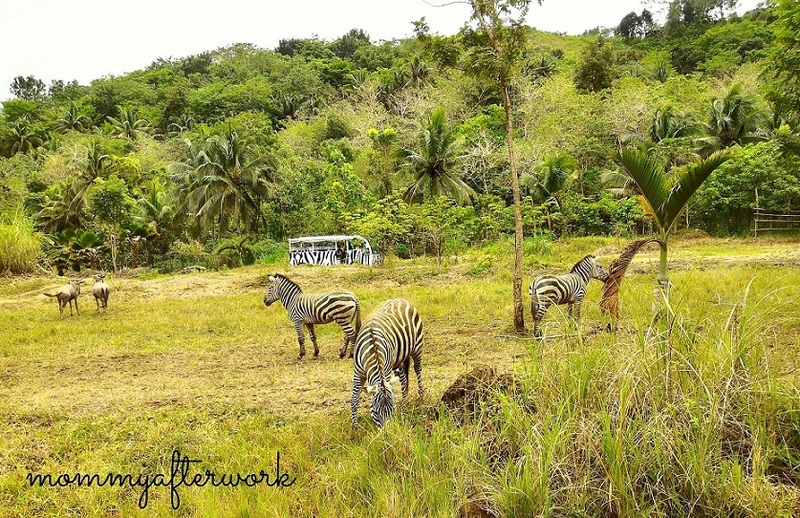 This town is making a name as it houses the soon to be an eco-tourism destination in the Philippines, the 170-hectare park for animals named as Cebu Safari and Adventure Park, which is owned by Cebu’s pawnshop magnate, Michel Lhuillier. With tips from Missus V’s post and an available slot for 5 persons scheduled for last Sunday, our attendance was confirmed. 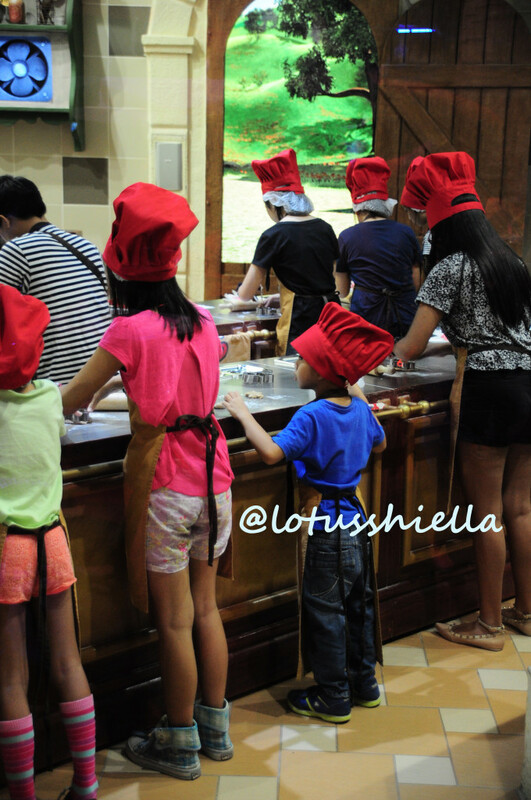 Though the park is not publicly open yet, special previews can be booked at PHP 800.00 per person, inclusive of lunch. 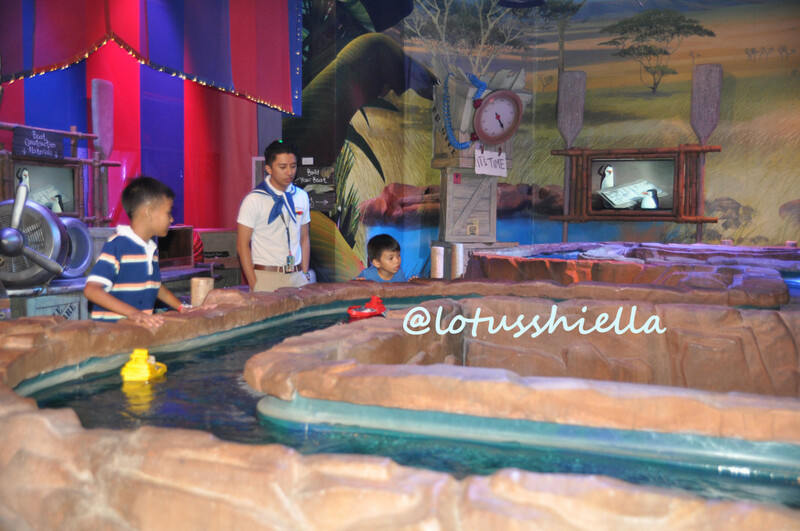 Kids below 2 feet are FREE while 2-3 feet gets 50% DISCOUNT (PHP 400.00). 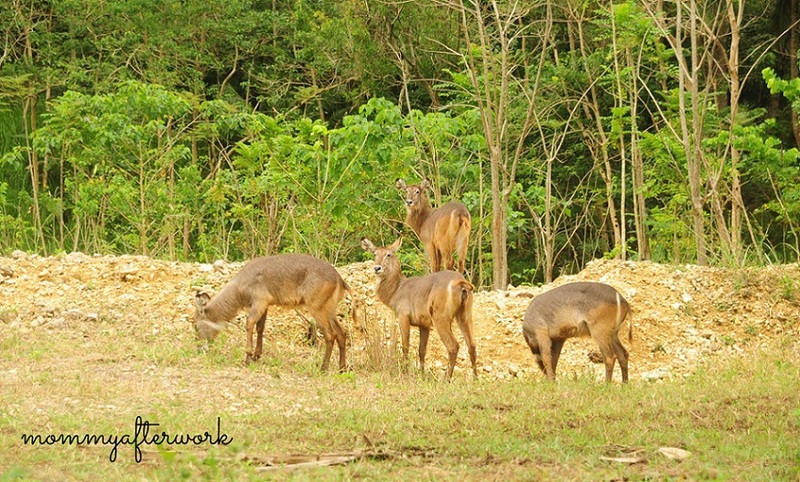 Regularly check for announcements in Cebu Safari FB Page or email at sales@cebusafari.ph. Only reserved guests will be allowed to enter as there are limited slots per special preview. Park opens at 8AM and closes at 5PM. It takes approximately 30km ride from Consolacion to Carmen and 8km ride from the national highway to the park. For our convenience, we rode on our own vehicle. Be aware that the park is located at a higher altitude. For old model vehicles like ours, be sure to check the vehicle’s condition before hitting the road. 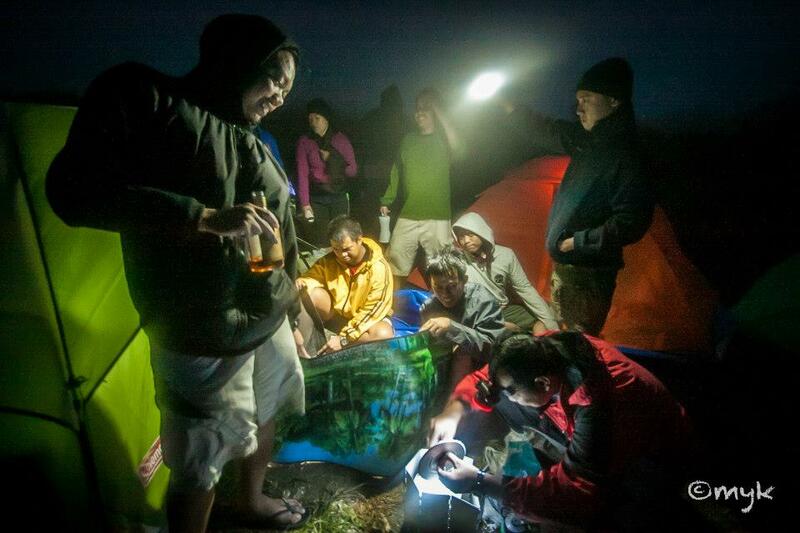 Ours tend to overheat when trying to climb higher terrains, so we have to take it slow. Thankfully, we made it to the park without engine troubles. If your vehicle can reach Temple of Leah at Busay, Cebu without problems, then you’re good. 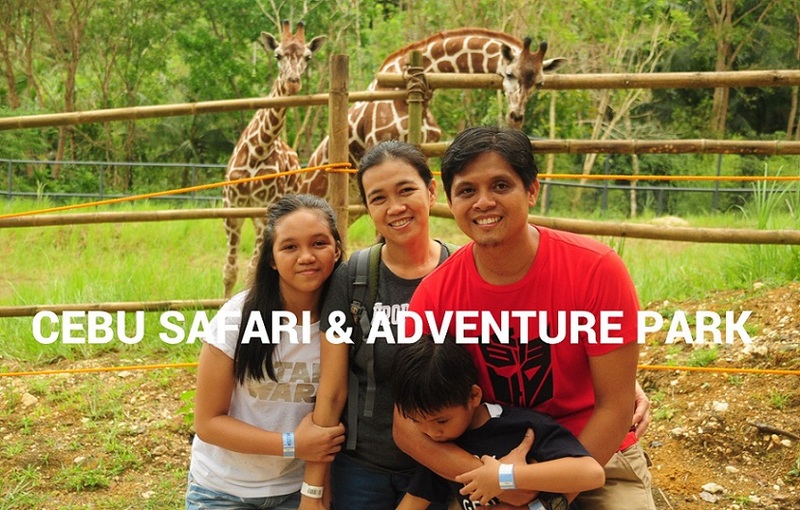 We arrived at Cebu Safari and Adventure Park at past 9:00 o’clock in the morning and were told to went straight to the ticketing counter for confirmation. Once confirmed, we were given park’s bracelet tag (ticket) and meal stubs. 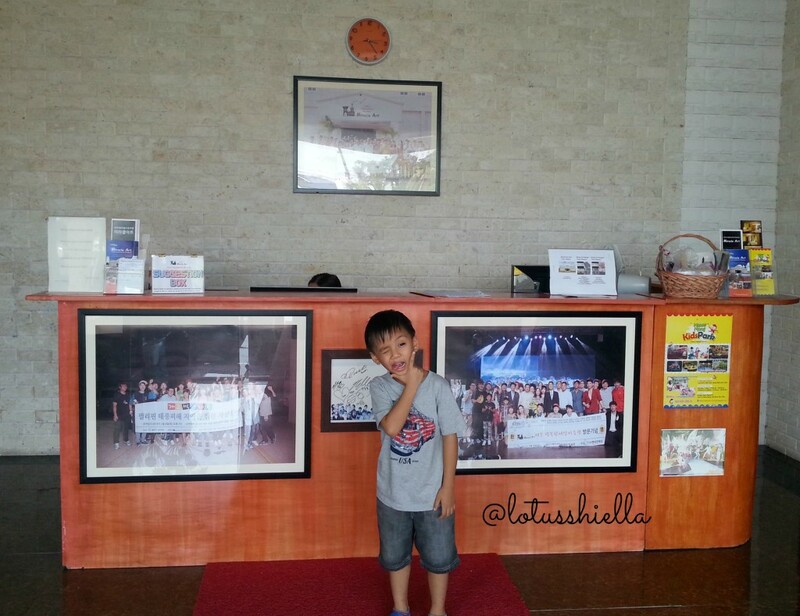 The staffs greeted us with warm welcome. 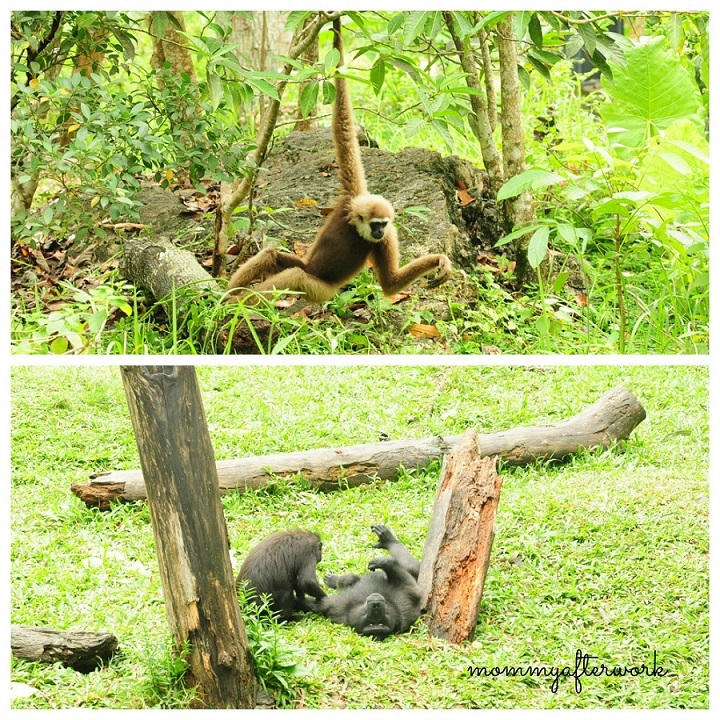 We were given an overview of the park which housed 111 different kinds of animal species. They discussed the Dos and Don’ts while in the park, our lunch schedule and options on where to take our lunch. Trams are waiting for us to lead to our first destination. These trams are available to take us anywhere within the park. 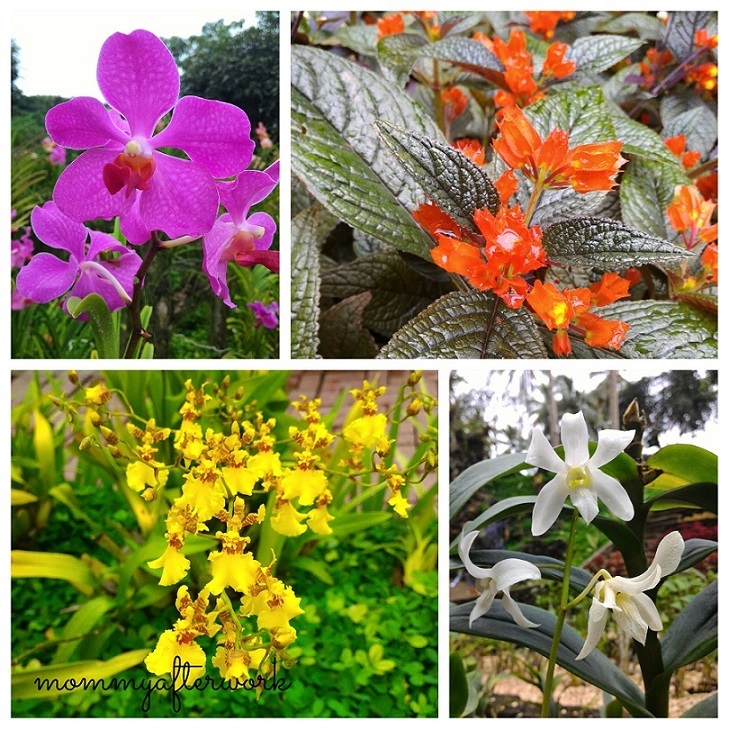 First stop was at the garden where the matriarch’s collection of orchids and mayanas are displayed. According to the guide, the orchid farm is a 40 year old heirloom. When we reached the pavilion, we caught this Orangutan swinging in the tree and those Celebes Macaque, with a funny looking butts waiting for the peanuts thrown at them, were just fun to look at. We feed them with peanuts. Includes a 2-minute adventure tram ride to view the African animals the Zebra, Antelopes and Wildebeest. 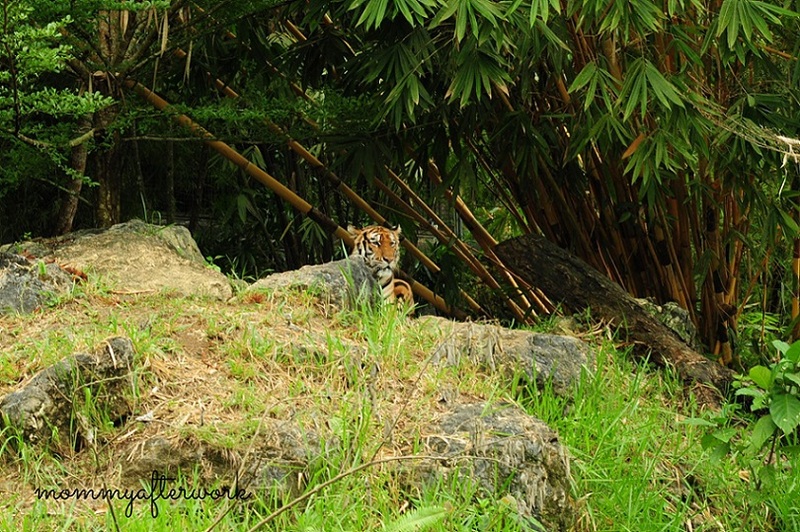 The guide mentioned that as much as possible, they try to mimic the natural habitat of the animals, so they can freely roam. 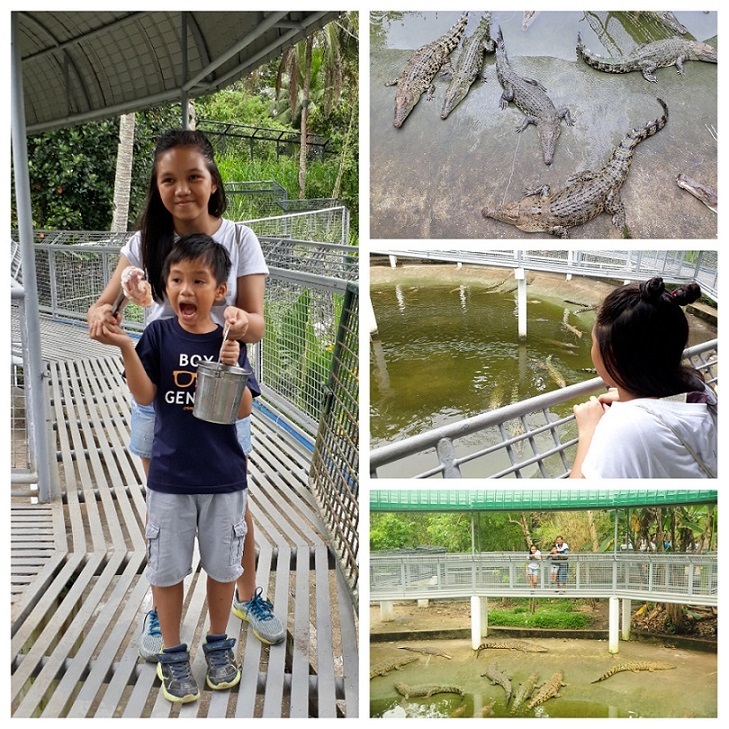 After the ride, we went to the crocodile’s pond and had a chance to feed it. Feeds is at PHP 50.00. Lunch is served between 11:30PM – 1:30PM. We were served with a full-course lunch. 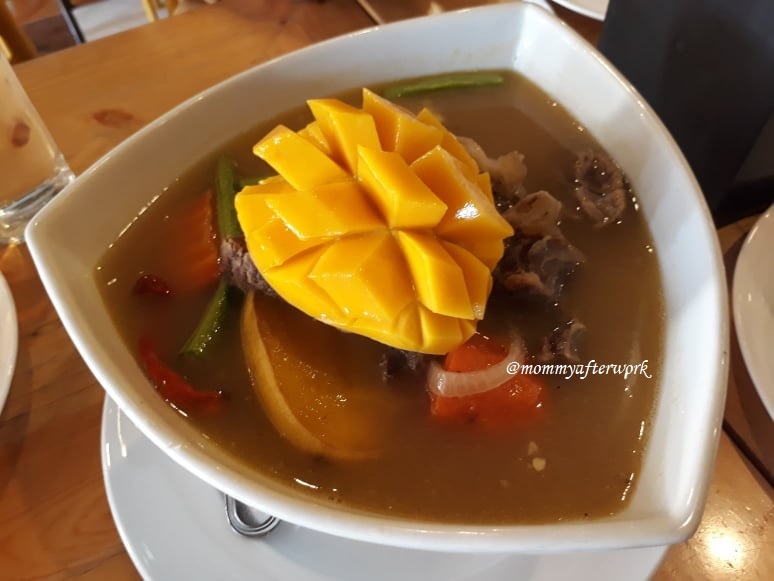 We had Ginataang Puso ng Saging and Kinilaw ng Guso for appetizers, Tortang Talong, Pancit Fried Chicken and Humba for the main dishes, and fruits for desserts like sliced watermelon, pineapple and papaya. Busog jud! Sulit! 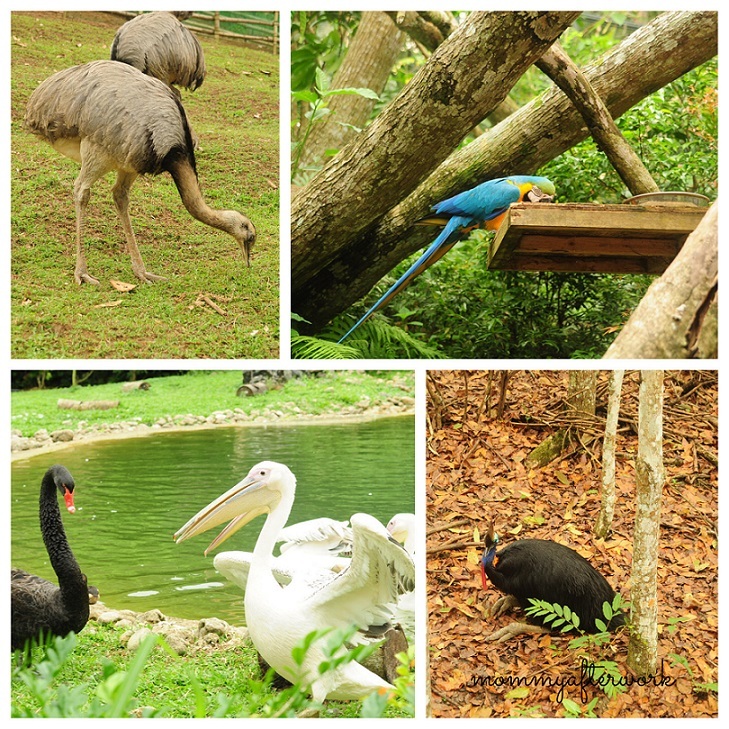 Follows the trail from Meerkat to Aquatic Birds to Cassowaries, Macaw Aviary, Emus. 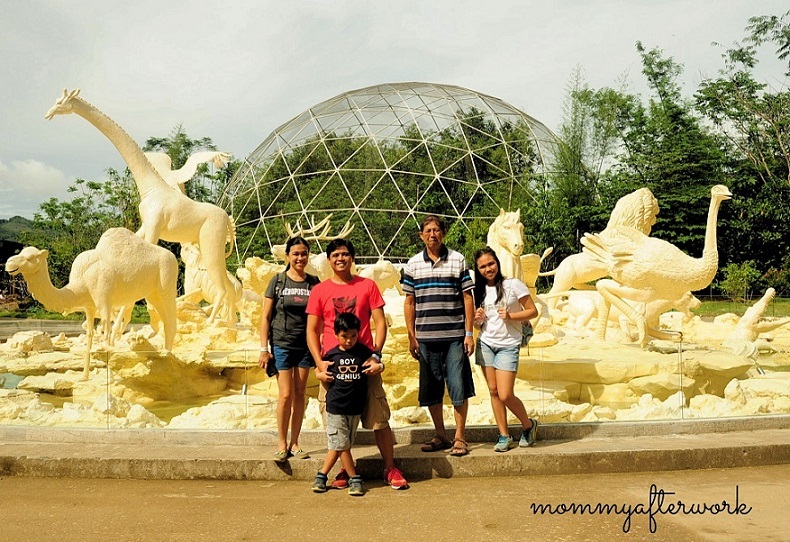 We ended our adventure at the Cebu Safari and Adventure Park’s roundabout featuring statues of the animals. 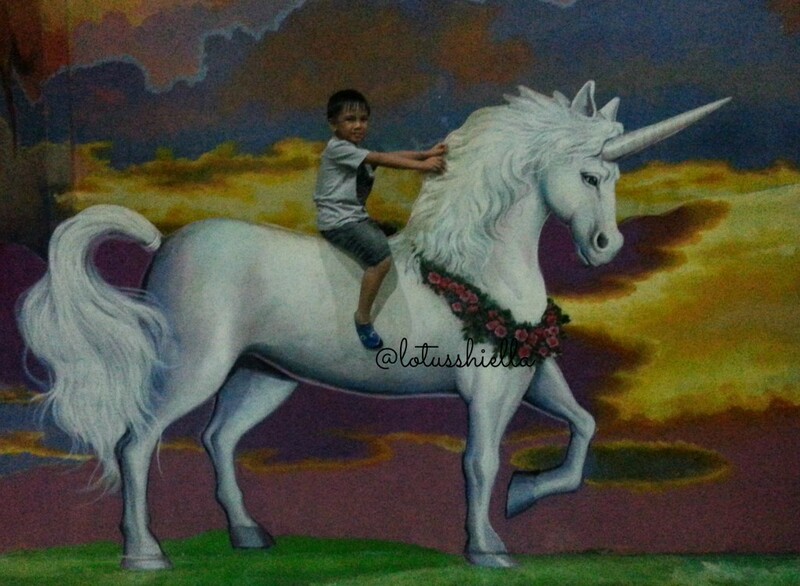 Overall it is very recommended for family activity. What I personally like about the trip is the chance for wildlife interaction and of course be educated. 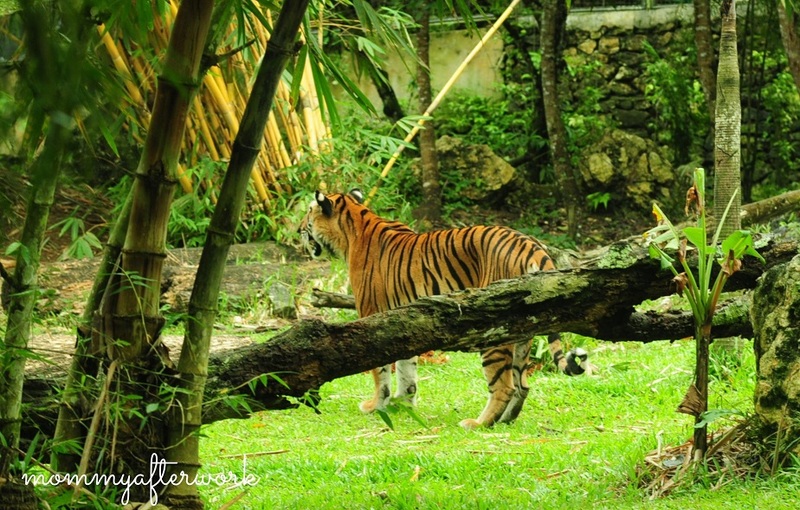 Rather than caged, I love that they can roam freely and while I don’t have the opportunity to travel and visit the African Safari, this park is the closest that I can get to be just meters away from giraffes, zebras and tiger. Surely you’ll enjoy it! 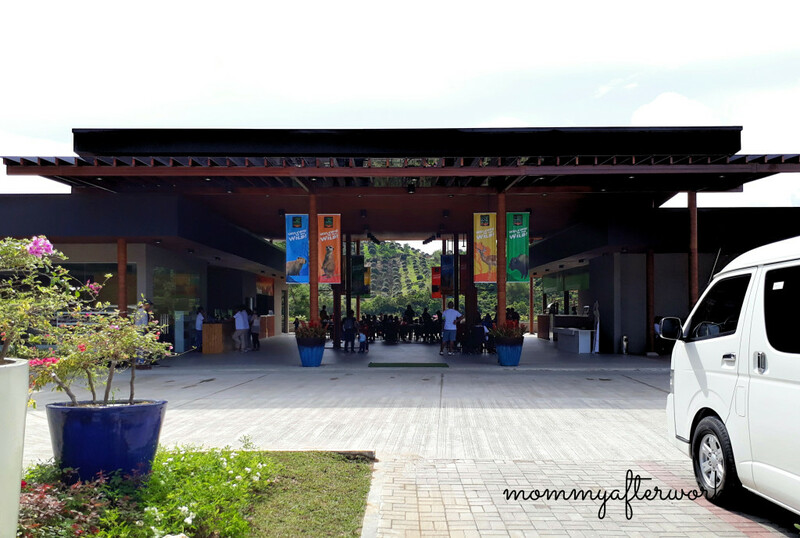 Last weekend, we went to Solea Mactan Cebu Resort to experience the place for a day. My brother-in-law and his wife were in town for the weekend. 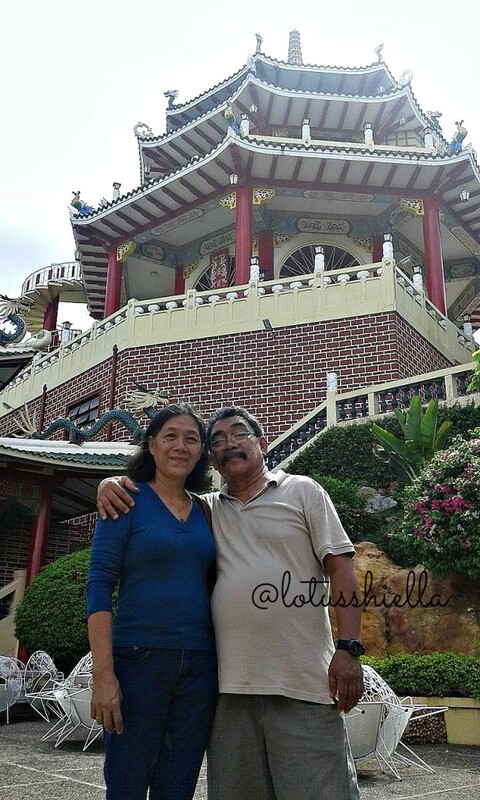 For first time visitors, we brought them to Sto. 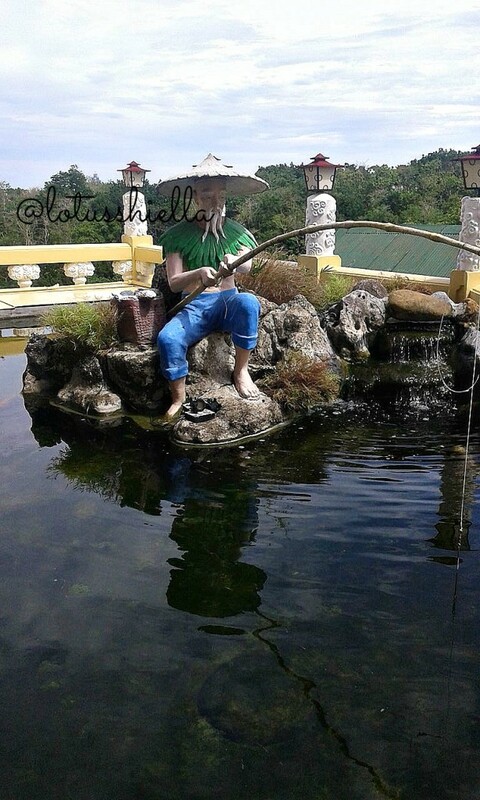 Nino Church and to some tourist spots like Mactan Shrine, Temple of Leah and Taoist Temple. 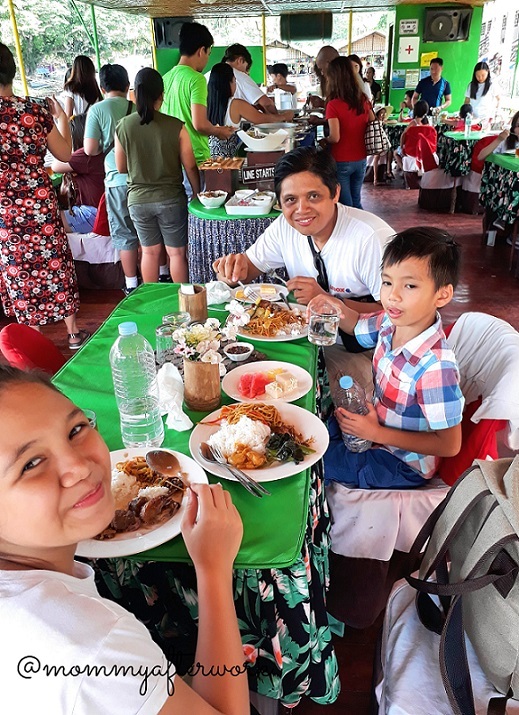 Aside from places, we had them indulged local foods especially the freshly catch fish from the province’s seas. Seeing their faces surely assured me that they were delighted especially on tinolang isda. They also tasted the panga from Tinda Locale and even if its restricted from my brother-in-law’s diet, they still devoured it with gusto! hahaha Lami Gyud! 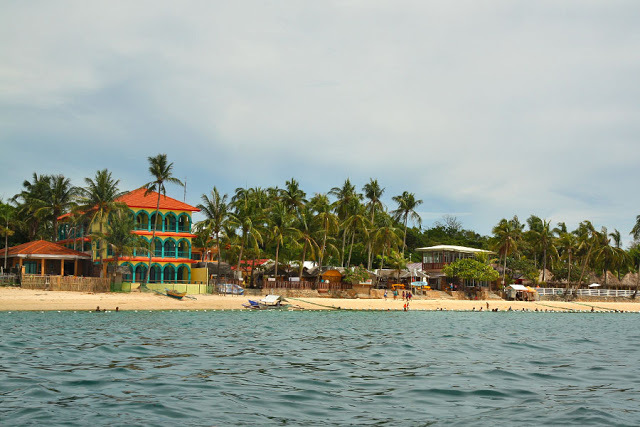 Knowing that Cebu is being surrounded with beaches and seas, we also thought that we would let them experience white sands and beaches and snorkeling and sardines. 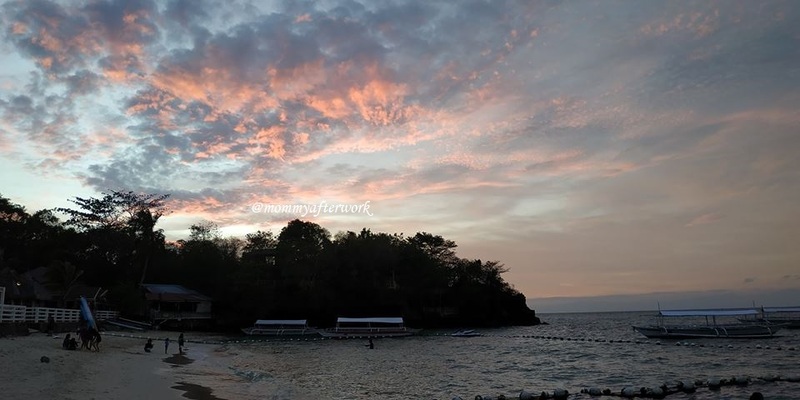 However, due to time constraints, this suggestion was not considered — but on second thought, since Mactan, is at proximity, why not visit one of Mactan’s beach resorts and let them peek the island’s beauty. 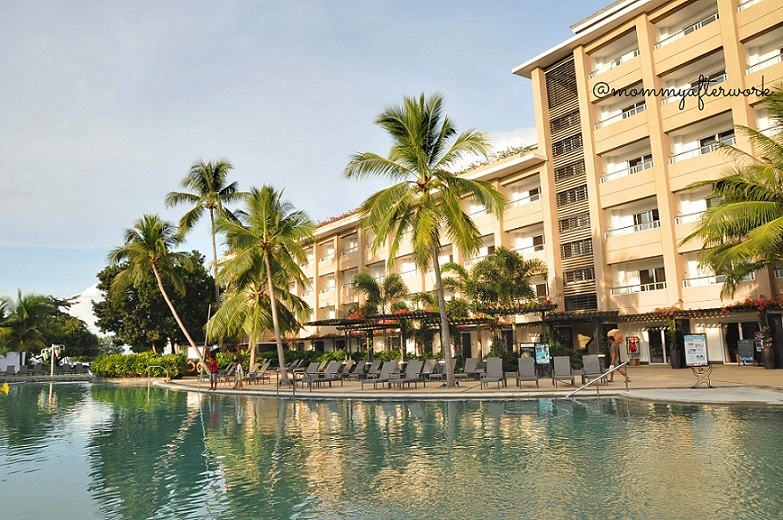 Mactan is a major tourist attraction in the province as it offers its pristine beaches. 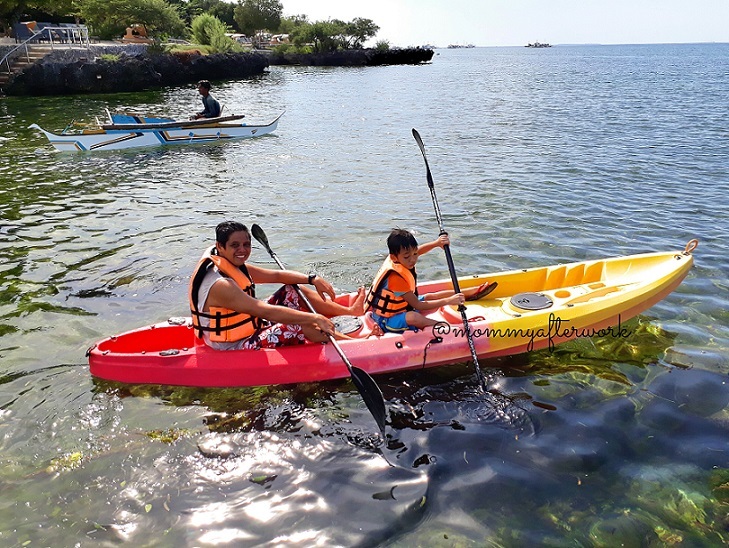 It also offers island hopping and deep-diving and because there are plenty of resorts in the place, additional water activities are offered just like jet skiing, banana boat, sailing or kayaking. 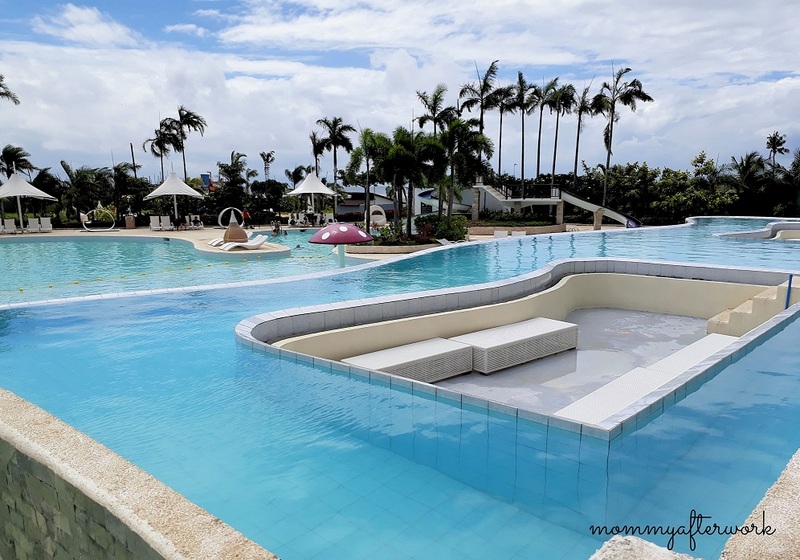 Plus these resorts also put up swimming pools and kid’s water playground for another option of recreation. Sounds fun, isn’t it? 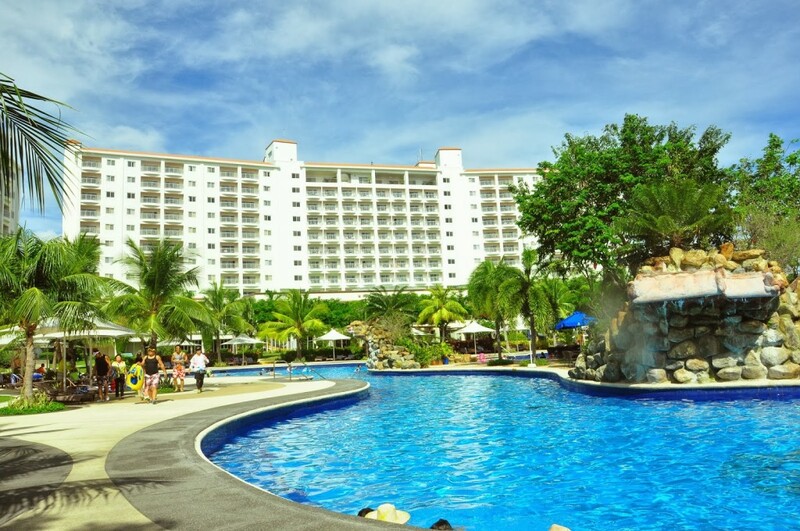 Last minute inquiries to some resorts brought us to Solea Mactan Cebu Resort. The only option with an affordable price compared to other luxury resorts. 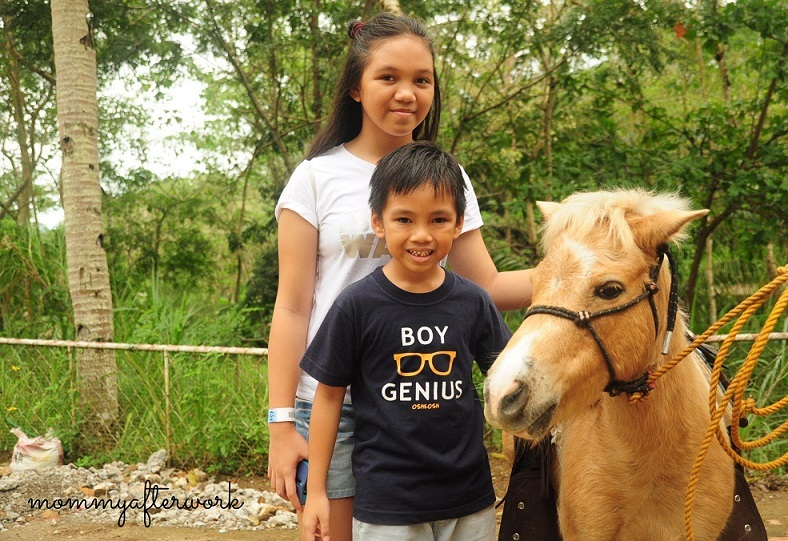 Here, we were able to enjoy a Day Use package from 8am to 5pm, priced at P1800 per person and P900 (50%) off for 5 – 12 yrs old. 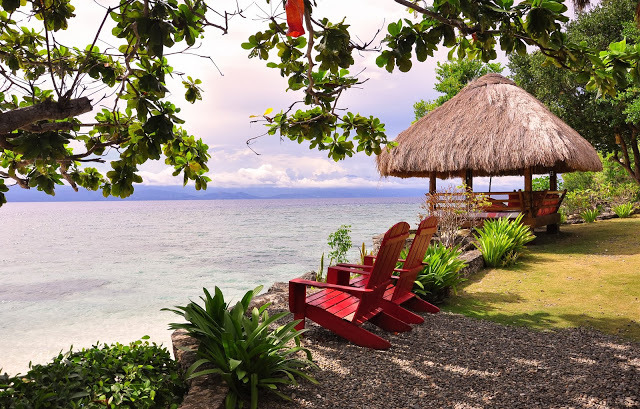 The resort is remotely located at Barangay Alegria, Cordova, one of the islands in Mactan. Indeed! it is secluded from the hustle and bustle of the city. We hired a taxi from Pacific Mall, Mandaue to the resort which amounted to P220.00 (metered) and an additional 40% of the total fare was given even though the driver didn’t ask for additional fee. Receptionists were accommodating in giving lots of smiles to the clients. They gave me a detailed information on what we can avail on our Day Use package. No welcome drinks though (maybe not available for day use users, I haven’t got a chance to ask). The resort has infinity pool, pool with lounges and kiddie pool with slides. 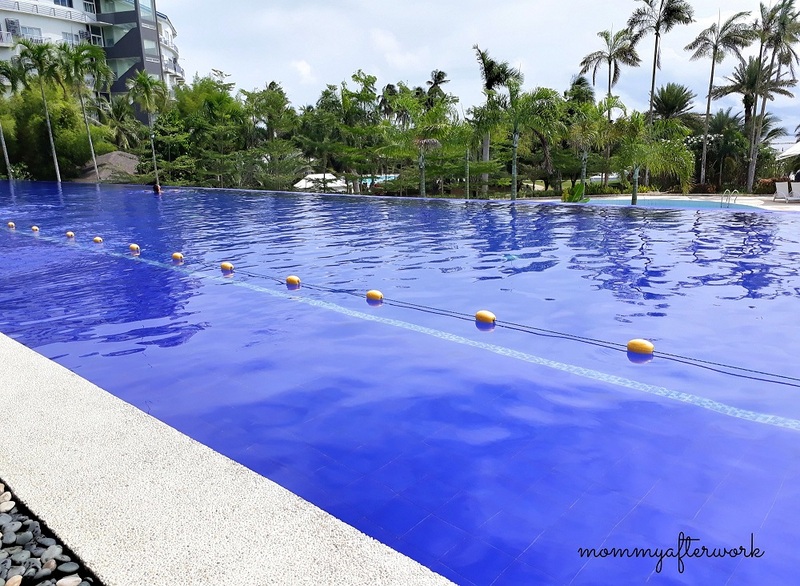 Be aware that the tiles near the infinity pool is slippery that we have to tiptoe walking on it and be extra cautious. Though they have big fans that will help dry the tiles fast but then again, there’s no harm in being too careful and besides, children are not as mindful as parents, are they? I personally like the pool with lounges. I stayed there enjoying while watching the father and son playing at the slide For the kiddie pool, the kids love the slides, surprisingly the youngest is not afraid to use it. The best part was that its not too crowded that they can go back and slide again. We also checked their Aqua Playground and it was also a hit. Their lagoon was not available that day and because the beach is a bit far, we didn’t tried it. Lunch buffet is available from 11:30 PM to 2:00 PM. 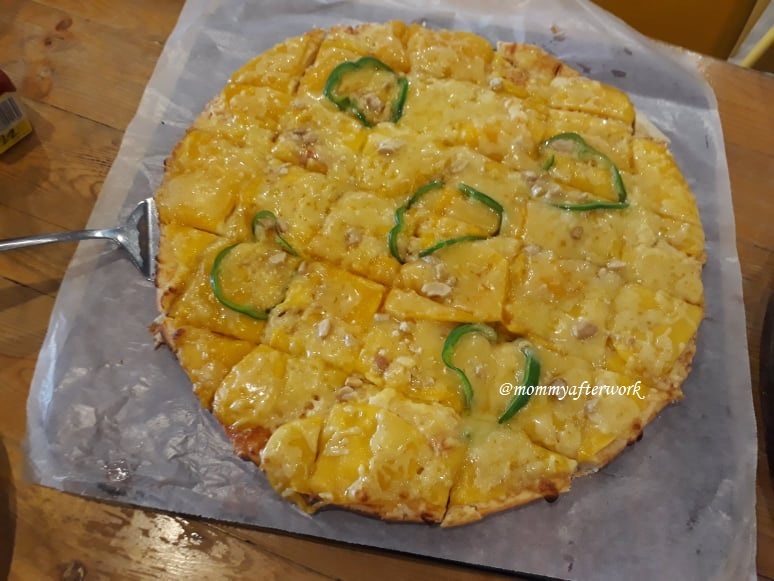 Lots of food choices from salad, cold cuts, bread, pizzas, pastas, local dishes, chinese and korean dishes, sushis and sweet treats. Enough option to satisfy one’s hunger from swimming Drinks are ordered separately though (not part of the lunch buffet package). 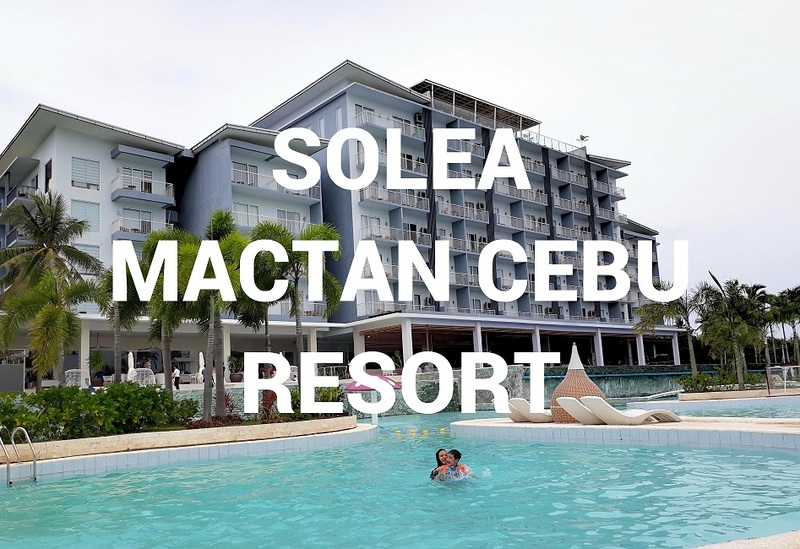 Overall, day use in Solea Mactan Cebu Resort gives a day of relaxation and enjoyment. 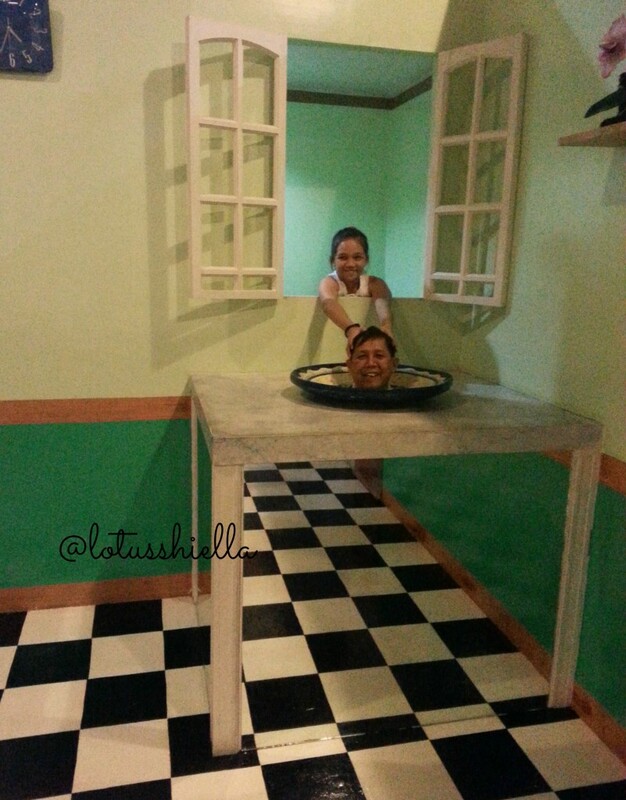 Will definitely go back (if budget permits…hehehe) to try their rooms too for a much longer indulgence. Hopefully! 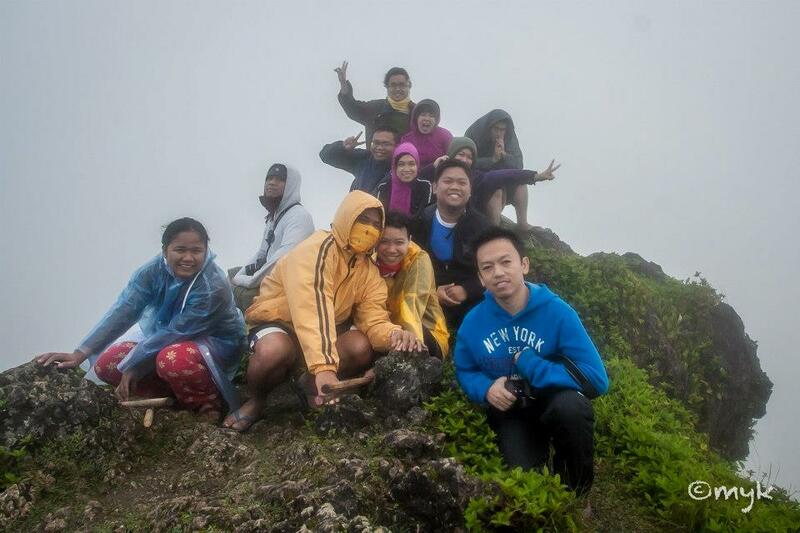 The last climb I had was last February 2013. 5 yrs ago, we trekked to Cebu’s Osmena Peak and traversed to Kawasan Falls. 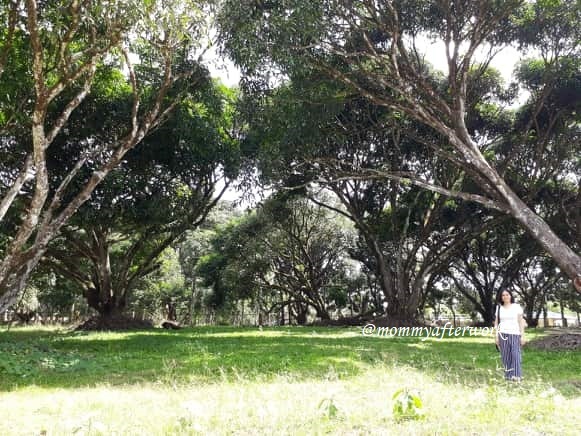 I still remember how we faced the cold, windy weather, the sweat as walk our way to the campsite and then to the falls, the difficult trail, the muscle pains and the joy of reconnecting with nature. As a novice, I’d say everyone did a good job as the team completes the trek safely. Personally, completing it was self-fulfillment. 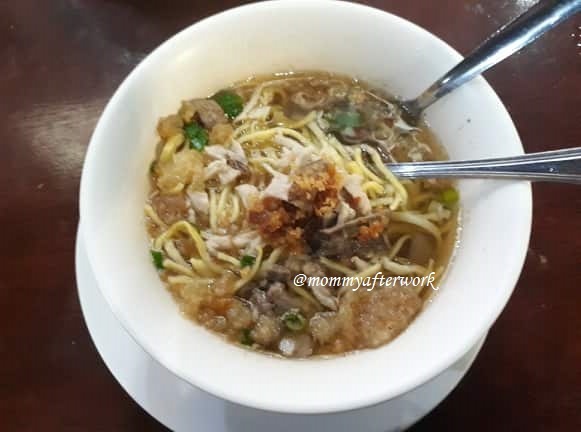 We started our ascend from Mantalungon, Dalaguete’s market with a fully loaded tummy. During that day, rain pours every now and then that it caused the trail to be muddy and slippery. Also, the wind slows us from our track too where hats and ponchos are blown from there and here. Then fog is everywhere that is gives us almost 0% visibility of our way. We could have used trailers but it could spoil the fun, besides only foot paths are available going to the peak. Nevertheless, we made it to the camp site. It took us awhile to set up our tent, waiting for the pouring to stop. 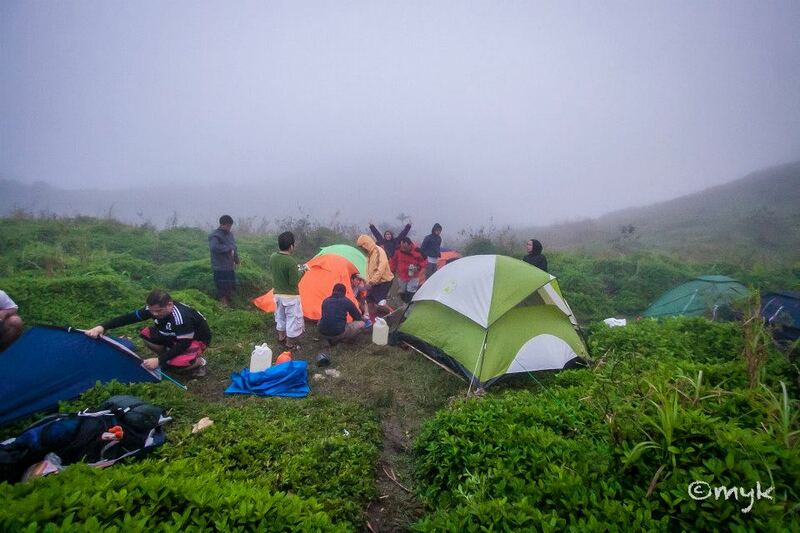 However, seems like the weather that day was not cooperating so with the rain and wind, we looked for a better location within the campsite. 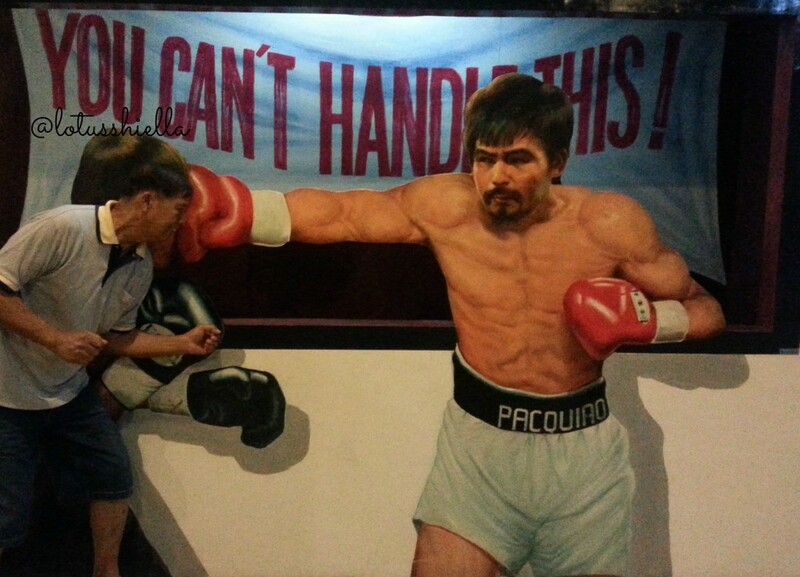 Well, you can’t run away from the rain and wind, can you? And oh, I remembered our friend’s tent that was taken away by the wind. We tried to recover it but to no avail as the wind is faster than us. Good thing some of us brought extra tents. The next morning, we get a chance to peek the surroundings as Mr. Sun appears briefly. A very rewarding scene indeed. After we were able to get enough of Osmena Peak’s beauty, we started our trail to Kawasan Falls. It was more or less 6-hr walk. It started out exciting but then becomes painful. Thankful for the daily short walks towards the mall near our office during lunch times, as this helps me endure. I am tired but as soon as I hear the rushing of water from Kawasan, I become excited and determined to reach the place. I have 5 siblings. With our 2-3 years age gap, picture the chaos in our house and the exhaustion my mom and dad experienced when we were dirty little brats. I remember we argue a lot — on who’s gonna wash the dishes or who’s gonna take my dad’s lunch to the plant he works or who’s gonna bathe our youngest brother or even on who’s gonna have the biggest piece of the divided viand. But behind the disagreements and bickering, I’m proud to say that we love each other. While 3 of my siblings settles at our province, I’m based in Cebu, my brother is now in Ilo-Ilo and my sister is based outside my country. Thankfully, we have FB and Skype for communication but we still miss each other’s company. So imagine when all of us would gathered together during holidays or special occasions. It would definitely be messy and so much fun. Also, it would also probably be lively if we get to enjoy everyone’s company in a wonderful places aside from home. 3 hours drive from Cagayan de Oro City. It has rooms for overnight stays. Snorkeling and kayaking can be enjoyed here and I’ve heard this is also a diving site perfect to enjoy underwater world. 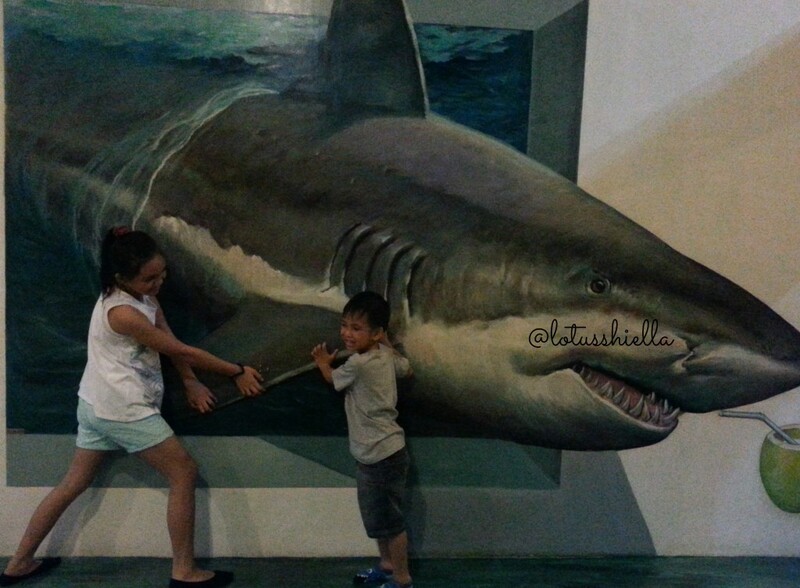 Located in Mactan, Cebu. One of the city’s best water park with 5 swimming pools, 3 water slides and beach to have fun in the water. 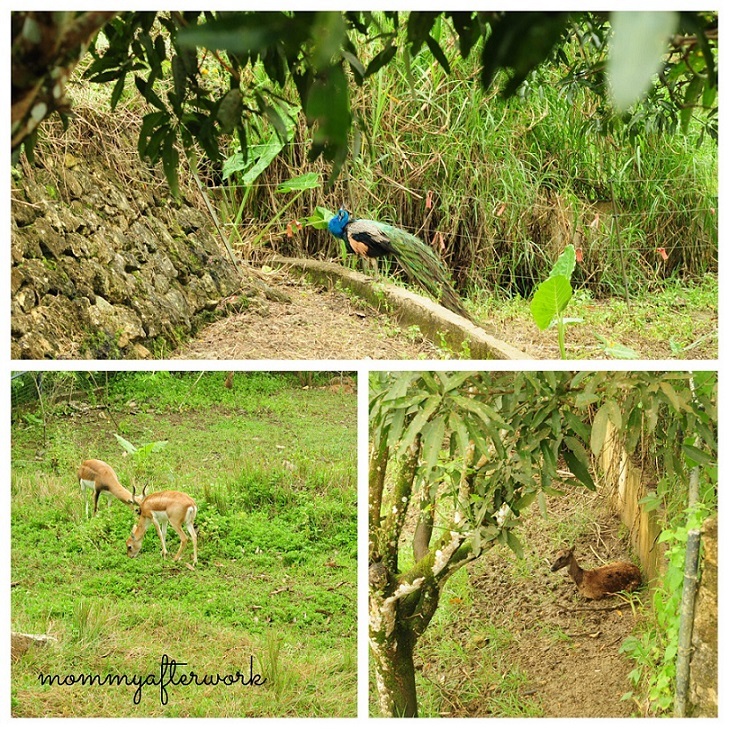 Away from the city’s noise, this resort give you a chance to get up close and personal with nature. 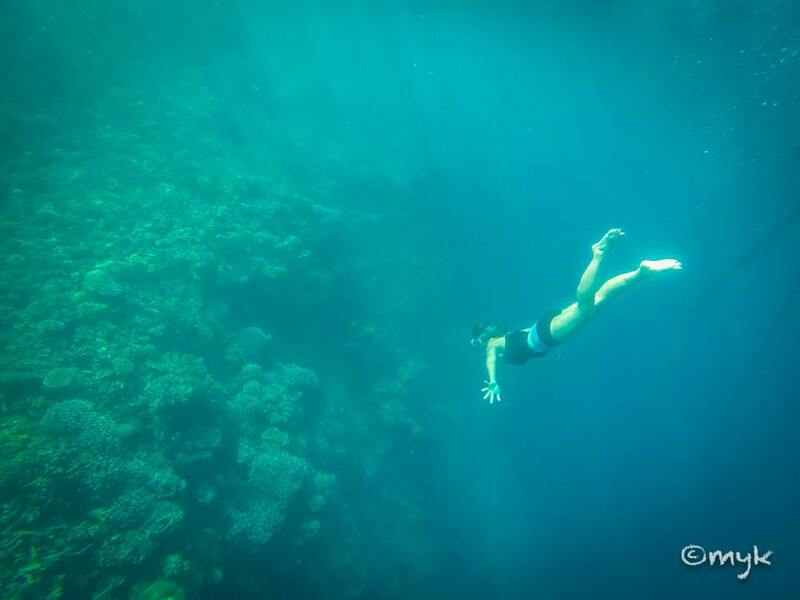 Perfect for snorkeling, dolphin watching plus be amazed with thousands of sardines swimming underwater. Giumaras Island, home of the best white beaches in Iloilo. My brother and sister-in-law recommended it for family get together. 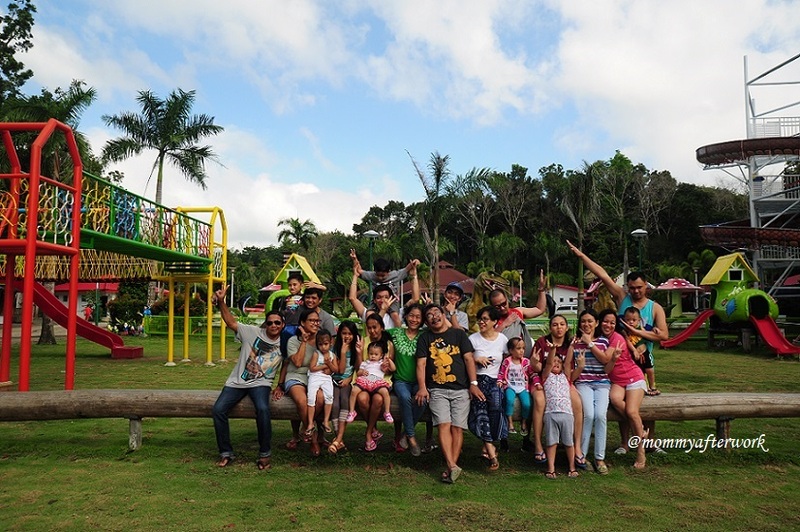 For a big family like us, this budget friendly resort will definitely suits us. Laguna, my home during my younger years. Got my first job here and learned “independent living” here. 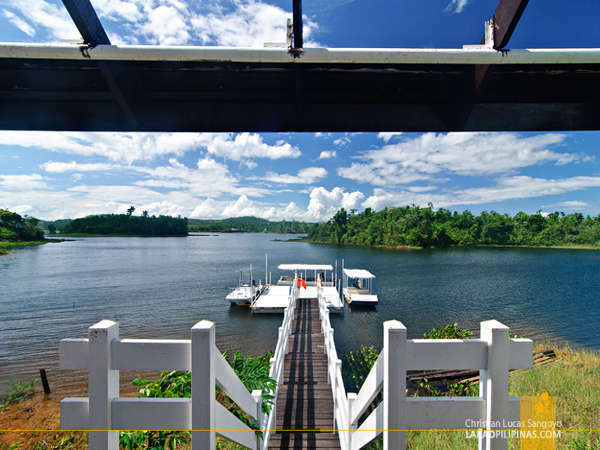 Anyways, as what Mountain Lake Resort’s website says, its a place where nature meets adventure. 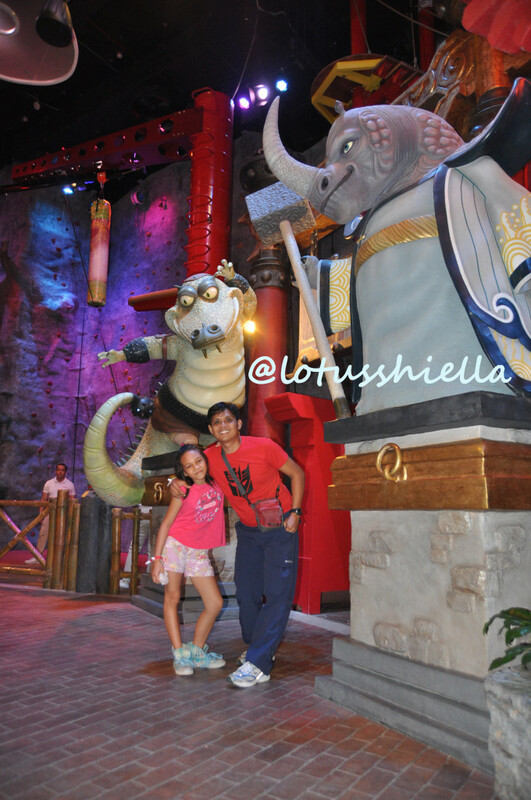 Would it be good to be back in this place not for work but to chill, relax and enjoy together with the whole family. 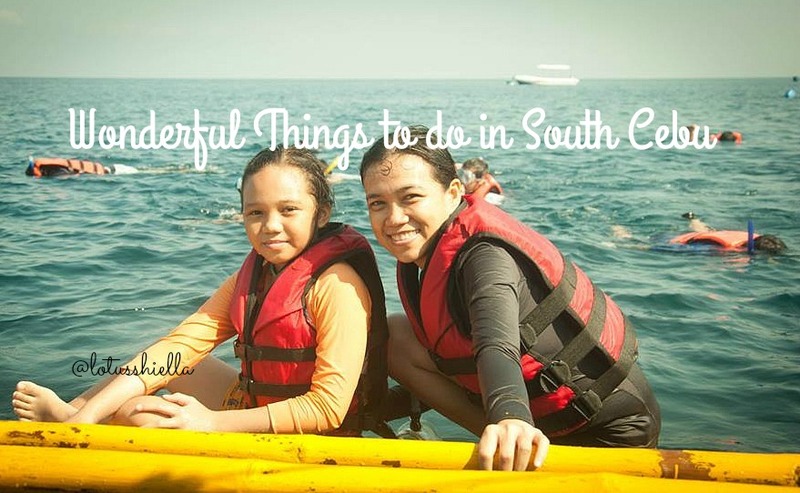 NOTE: This is an entry to Travel Book PH’s Blogger Getaway Contest. 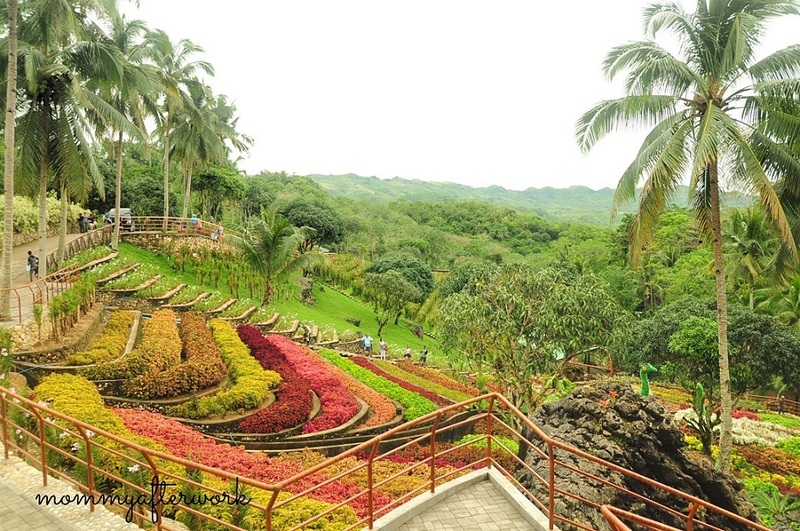 Cebu, the queen city of the south, is indeed a place worth to explore. With the that city already reflects the province’s rich culture and amazing views, wait till you see and experience the sights and sounds of its towns. Here are some of the beauty of the southern part of Cebu. 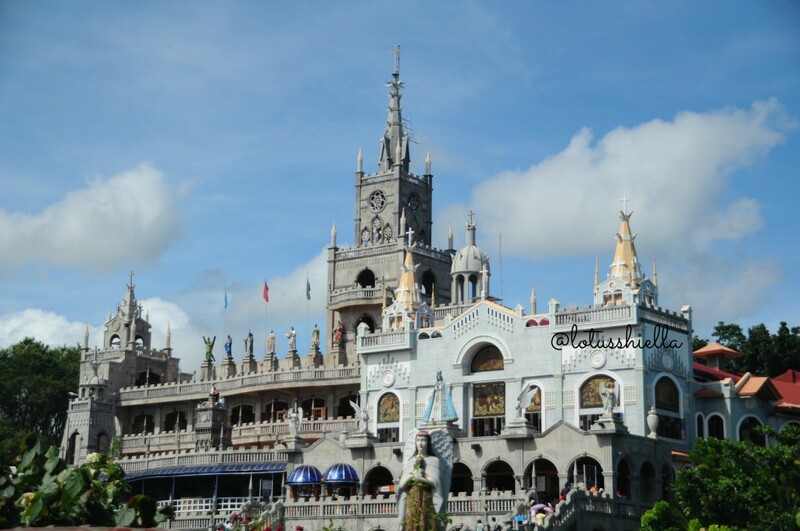 Simala Church or the “Monastery of the Holy Eucharist” is the castle-like church located in Simala, Sibonga, Cebu. It is currently maintain by the Marian Monks. 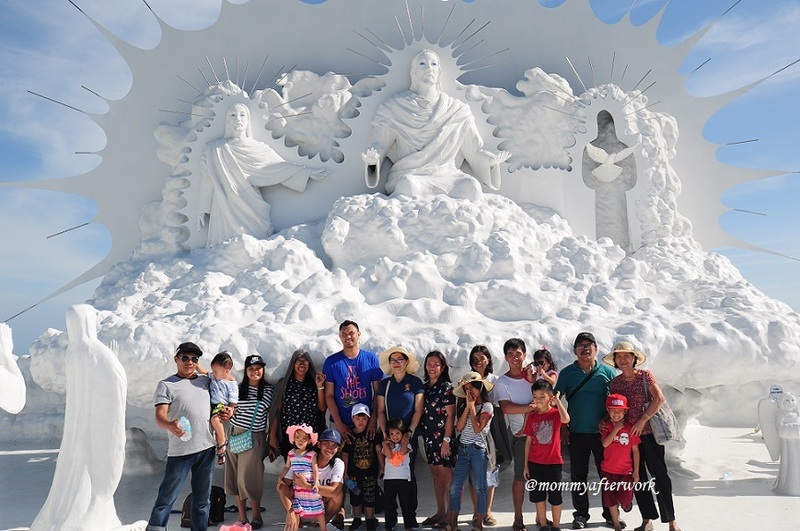 Believe to be miraculous, Catholic devotees visit the shrine to offer thanksgiving and prayers. Thousands of thanksgiving letters are displayed inside the church as testimonies of devotees’ answered prayers. 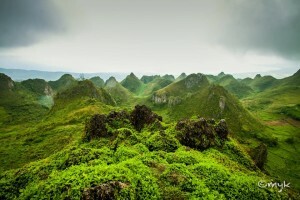 The highest peak of Cebu island is located at Mantalongon, Dalagute, Cebu. 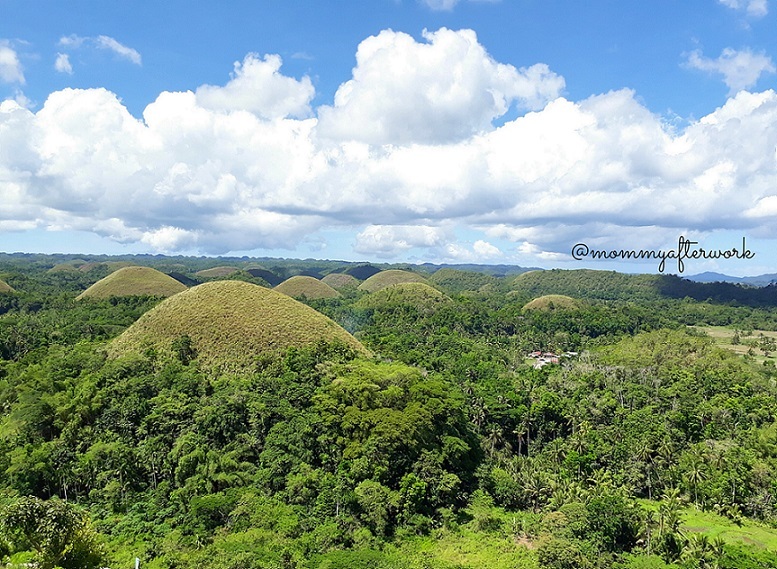 At the top, you get a chance to admire the beauty of the uneven hills made of limestone at 360-degree view. 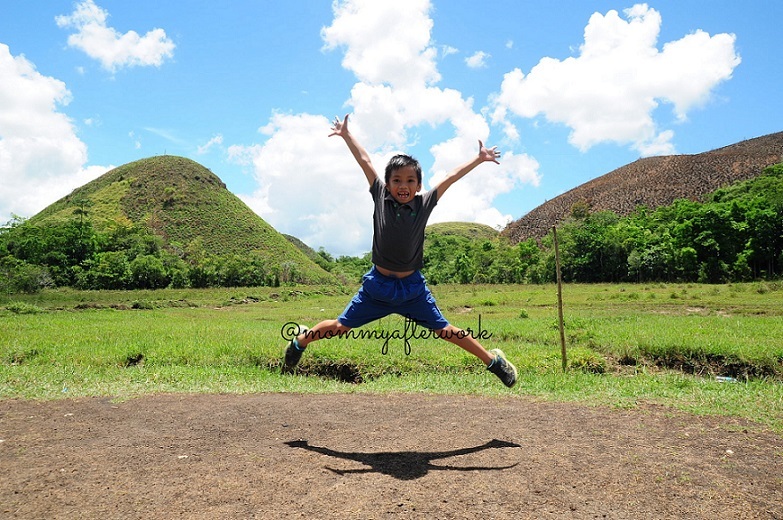 The hills is not as perfect as chocolate hills of Bohol but its imperfection is what makes it beautiful. Read our experience here. 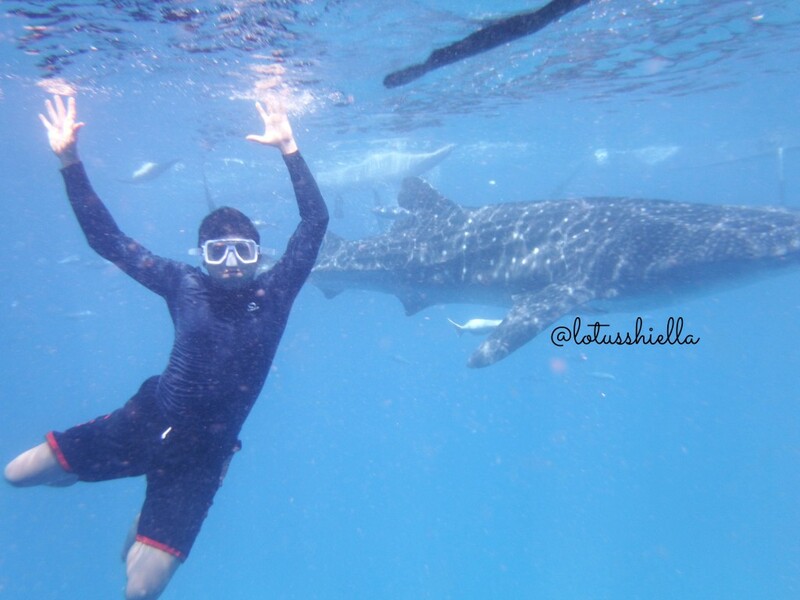 Lots of whale sharks, locally known as “Butanding”, swim their way in the deep waters of Tanawan, Oslob, Cebu. These gentle giants stayed all throughout the year since locals feed them with small fishes or krills which lead them to be dependents. I personally don’t like that these sharks were used for make revenue. I hate that their ecosystem were to disturbed by chaotic tourists like me. 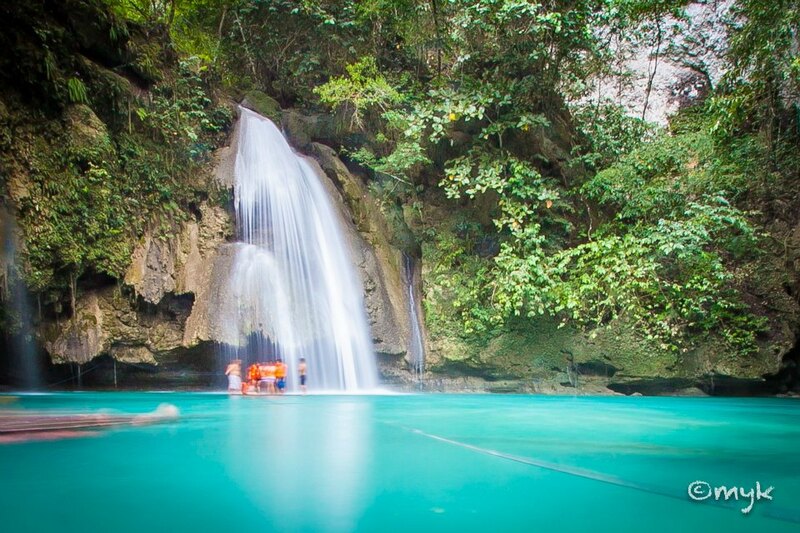 Kawasan Falls is located at Badian, Cebu. The cool, crystal clean freshwater from the falls is definitely refreshing. Beautiful corals, turtles, school of sardines and different species of fish are just some of the beauties found under the sea of Moalboal. More fun here. Photo credits to Michael A. and Jimmy L.
Father-in-law was here last month for his quarterly check-up. 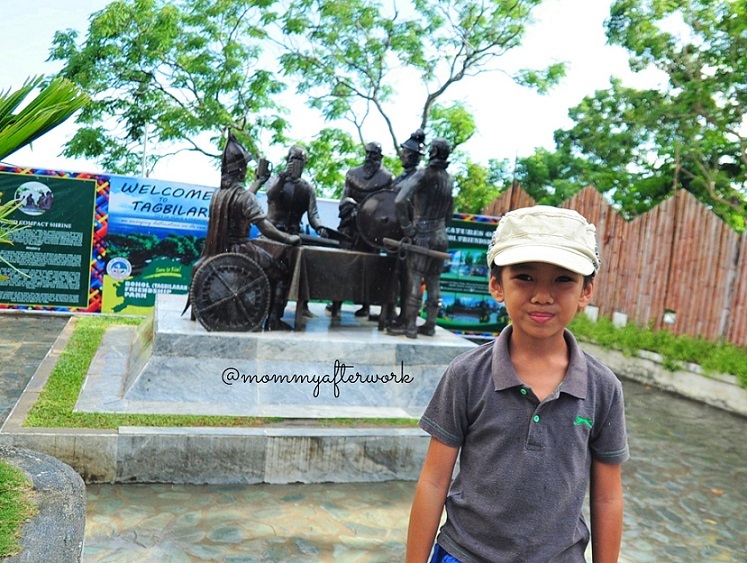 After his laboratory tests and day-long queue for his doctor’s appointment, we thought we’ll gave him a breather by going to Cebu Happyworld Museum. 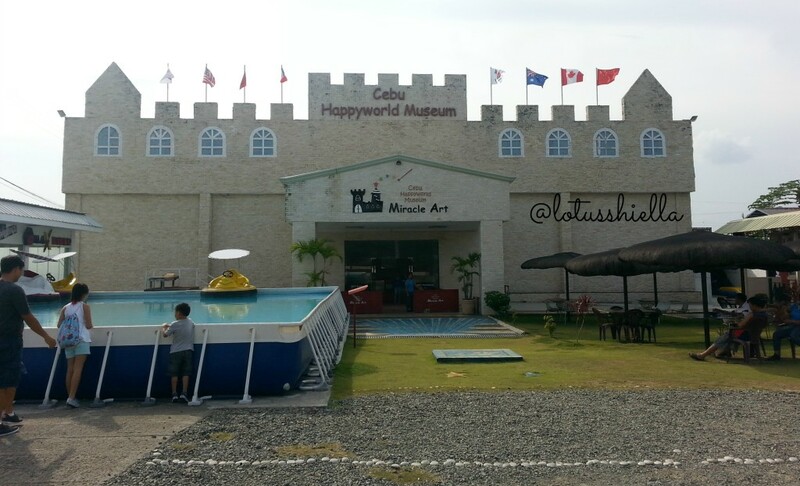 Cebu Happyworld Museum offers three-dimensional paintings. 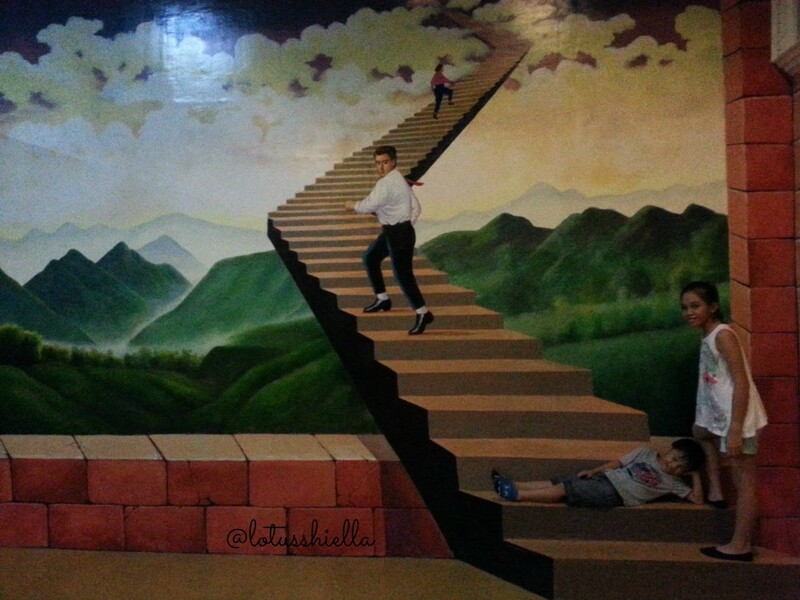 It is an optical illusion art museum that consist of 6 sections — World Famous Arts Section, Divinity Section, Ocean Section, Jurassic Animal Section, Philippine Section and Ending section. 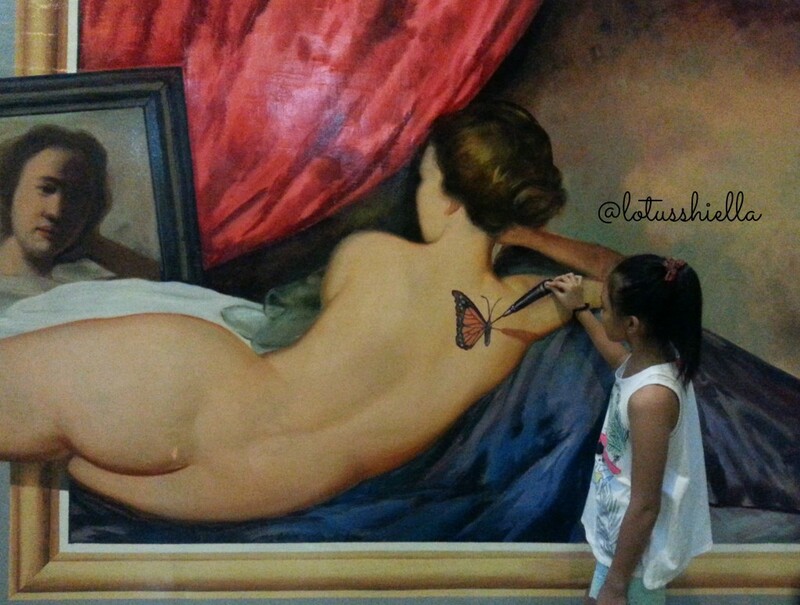 Visitors not only gaze and appreciate the paintings but rather take a photos together with the paintings and make a pose based on what the painting perceived. 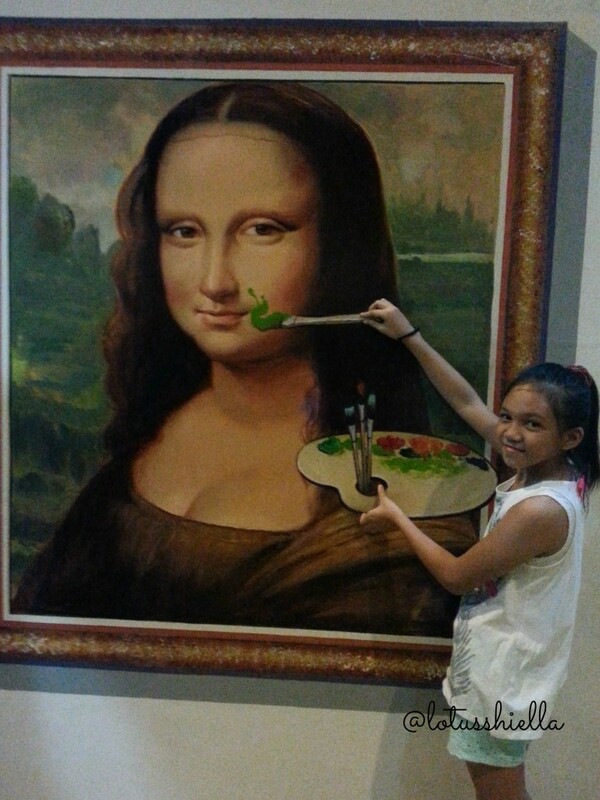 The paintings with the light’s reflection will do the trick thus photos seems real. Visitors are encourage to participate and be imaginative. The more the merrier, so bring the whole family and friends. To maintain cleanliness of the museum, you are to explore the museum barefoot. Better wear socks if you’re not used to it. Pose. Be creative. Be adventurous. We were only able to take few pictures using only our phones. We forgot to charge our phones and was not able to bring the camera Oh well! That means we will surely be back! 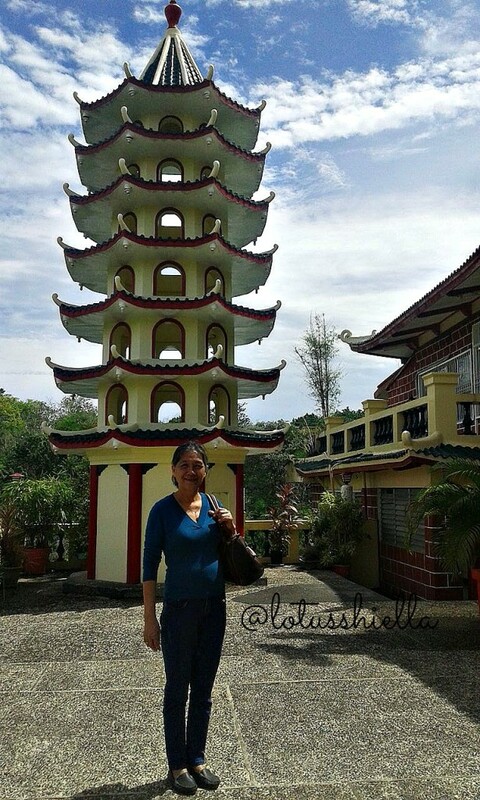 Inside a private subdivision in Beverly Hills, Lahug, Cebu City, sits the majestic temple maintained by Cebu Chinese Community. According to Wikipedia, the temple is the center of worship for Taoism, the religion which follows the teachings of the ancient Chinese philosopher, Lao Zi. 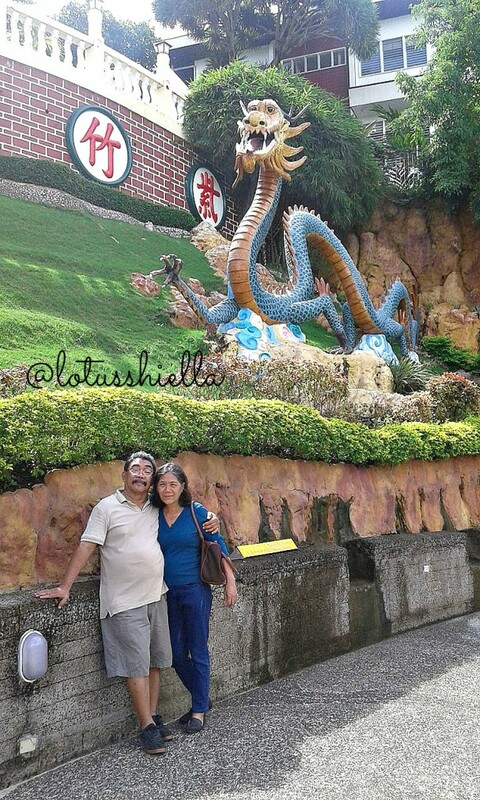 It has displays of dragons, temples, tiered tower and worship rooms with statues of Taoist gods. Its captivating bright red and green adds color and energy to the place. 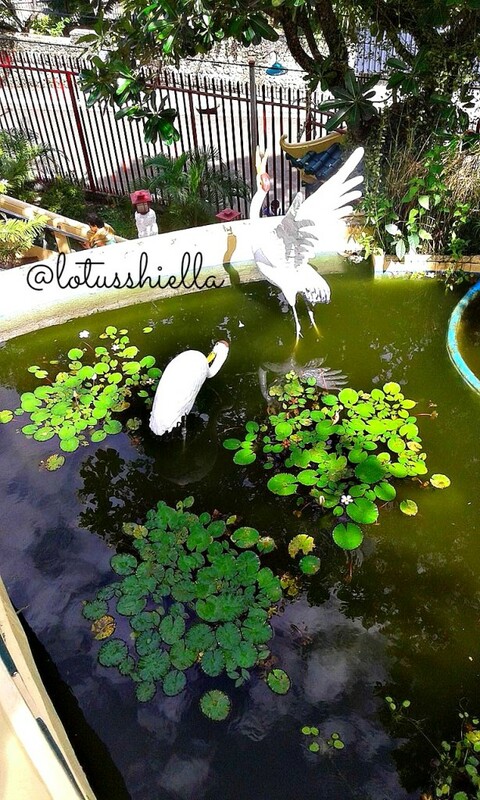 Plus being placed in the higher grounds of the city makes you see the magnificent view of Cebu. With the nice building architecture and with those shining golden strips, City of Dreams Manila will surely get anybody’s attention. Wikipedia states that the place is a luxury integrated resort and casino complex located within the Entertainment City of Manila. One of the building displays the huge DreamPlay signage with Shrek on it which obviously attracts little people like my kids. 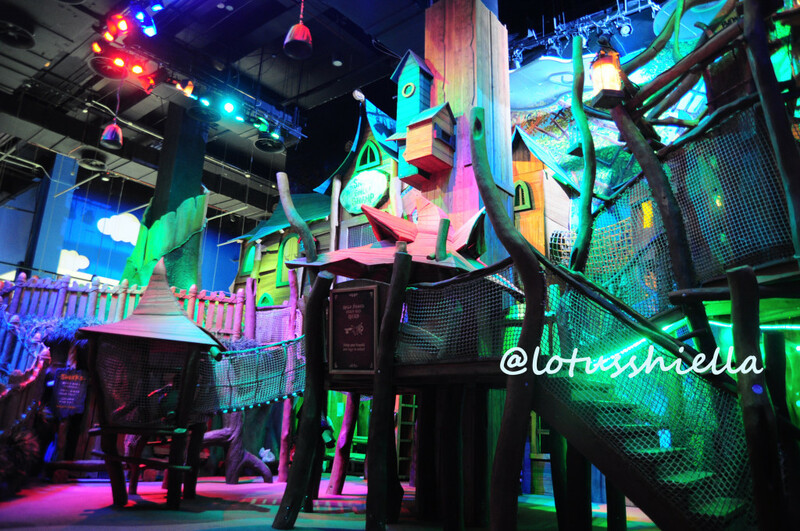 This luxury entertainment building not only have amusement for adults but also offer for kids — DreamPlay by DreamWorks. Since the place is located on our way to airport’s Terminal 4, we decided to check the place while waiting for our flight going home. 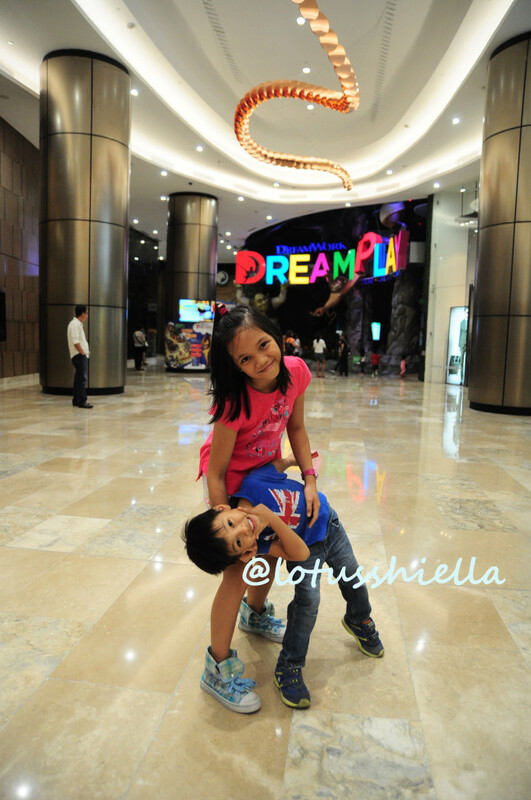 We were very grateful that the husband tag us along on his business trip in Manila. 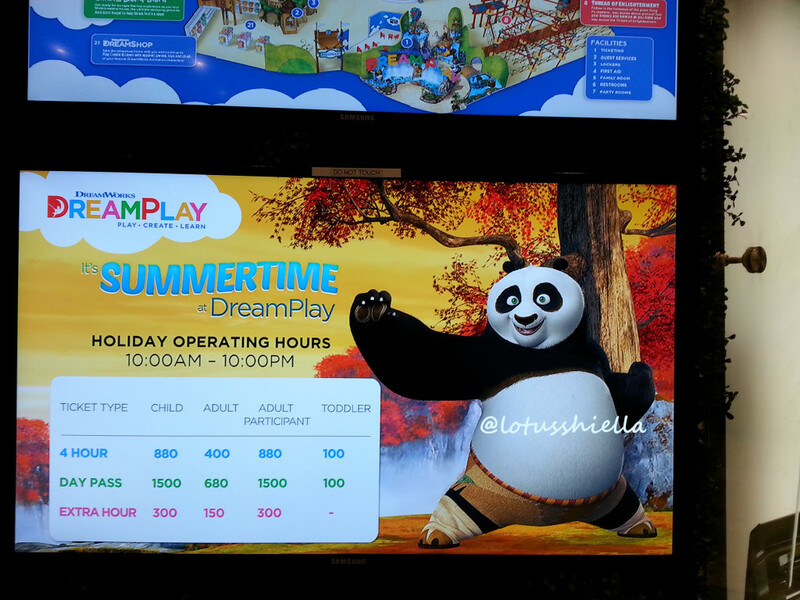 DreamPlay is a DreamWorks movie-inspired interactive entertainment that offers Play, Create and Learn as their slogan suggest. 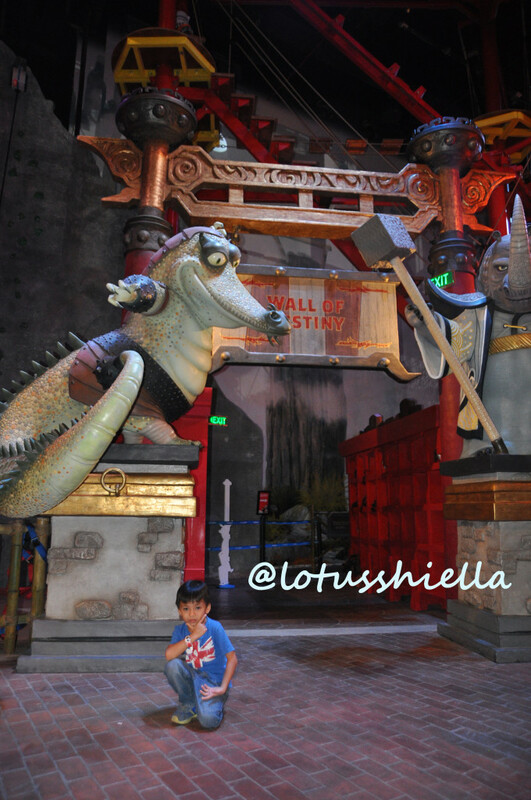 Activities are influenced by the three DreamWorks movie – Shrek, KungFu Panda and How to Train Your Dragon. However, we had to pay 880 for all the four of us on a Monday afternoon even if we plan to avail the 2 hours stay only. Reason? Peak Season! Initial fix rate for both kids and guardians at P880 fix rate! — promise! sakit sa bulsa! Walk across the rope bridges. 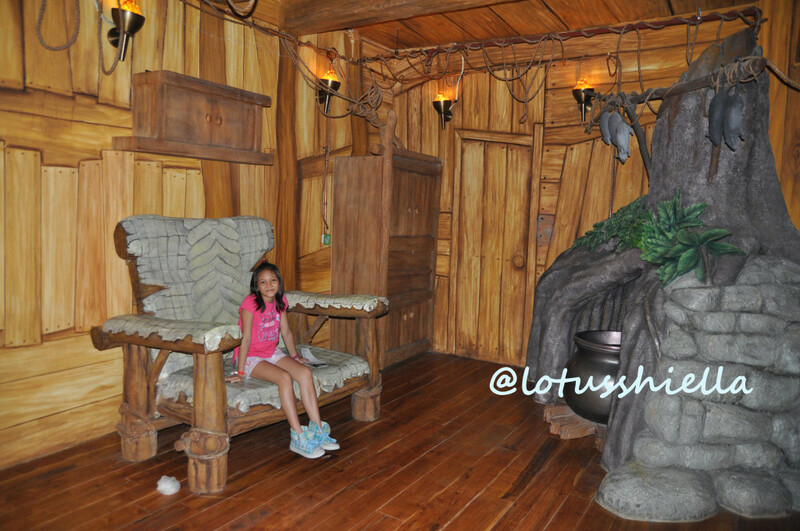 See what’s inside Shrek’s house. 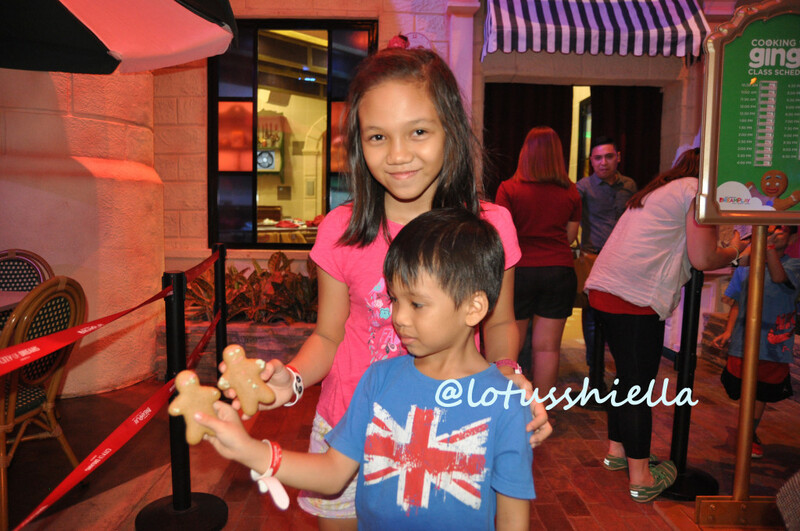 Learn to bake and decorate their own gingerbread man. While the eldest had a feast on her creation, the youngest just took a small bite the give the rest to me. He’s more excited to try another adventure. 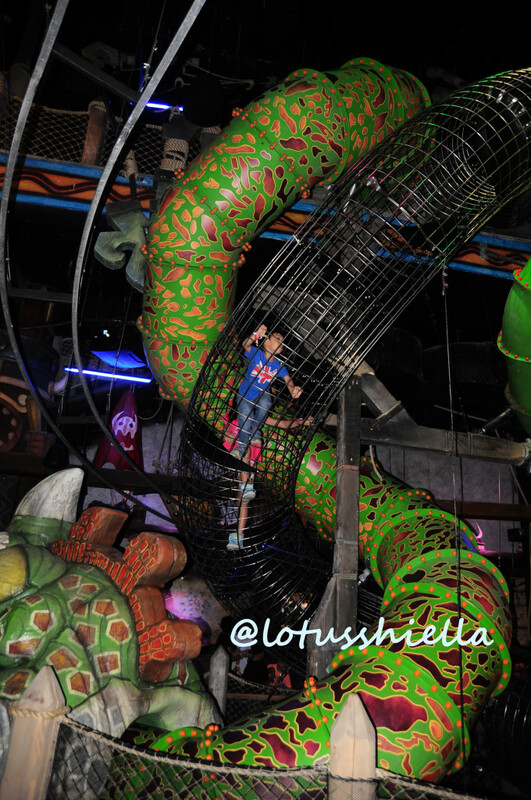 Get inside the dragon’s mouth and climb up to the top and slide on their way down. Build your own boat (that floats) and watch as it sails in down the river. 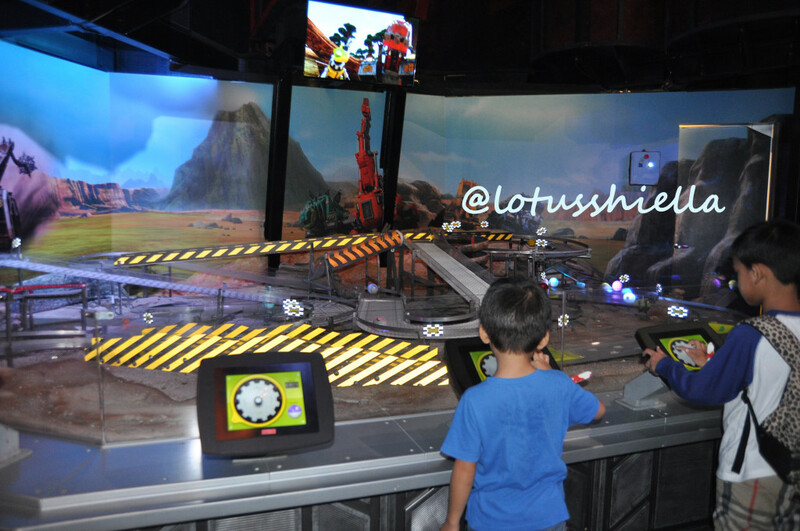 Create their own animation but I doubt if the youngest enjoy it considering he doesn’t know how to play with the monitor compared with the eldest who can read. This is nice, this can encourage kids to become future movie makers. 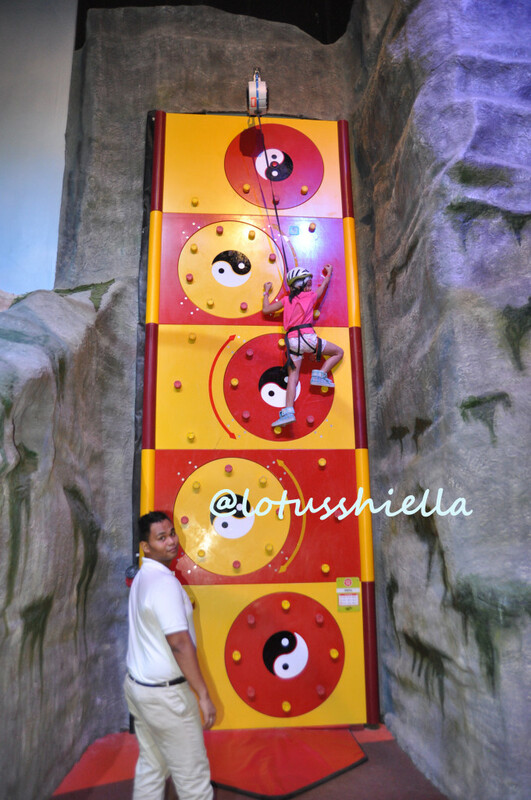 Test their climbing skills at the wall of destiny. Wear pants / leggings or long sleeves as the place is so cold, besides plays and activities are interactive. There are sessions with pre-defined schedules. You may check this first to maximize your time. Bring extra money, prices set in their website may change without prior notice.